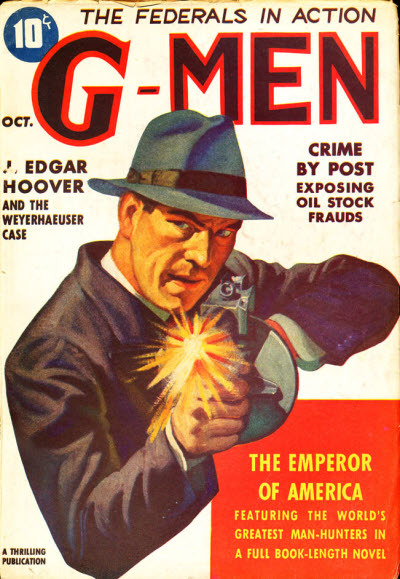 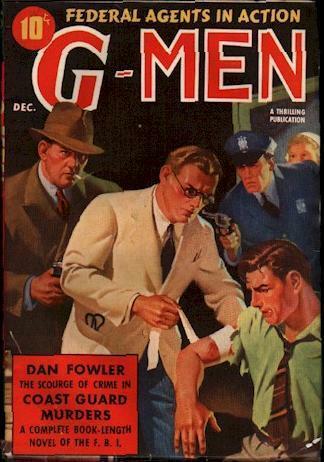 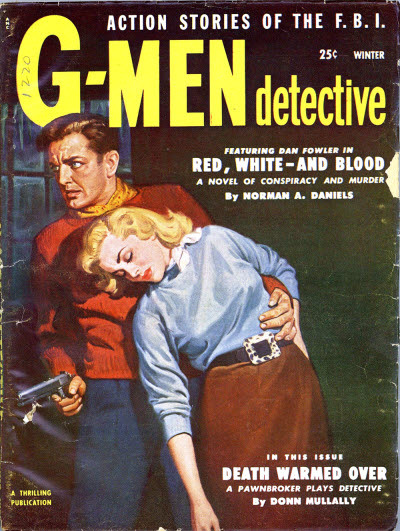 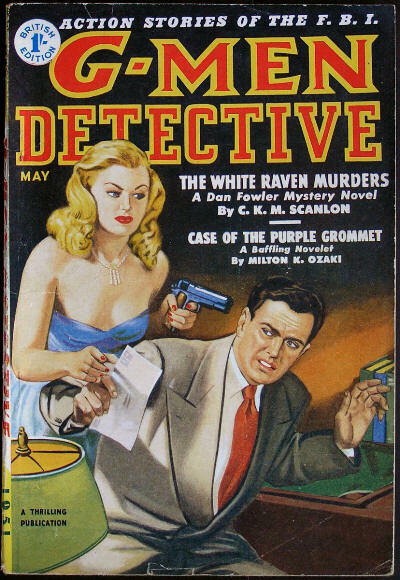 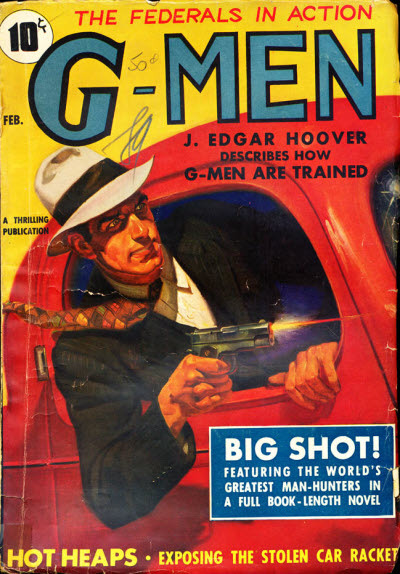 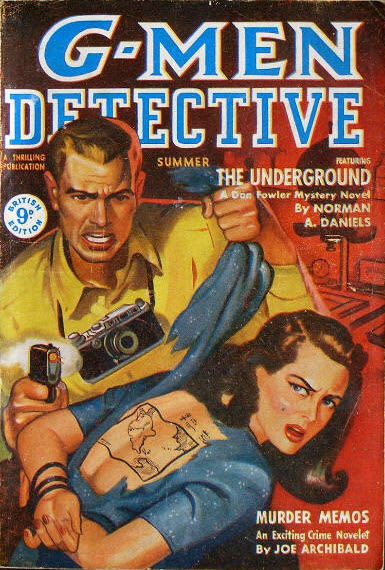 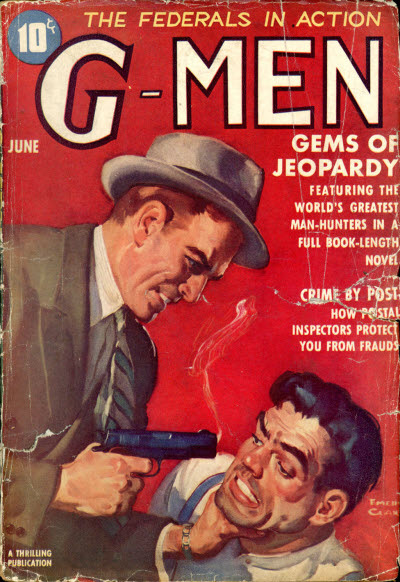 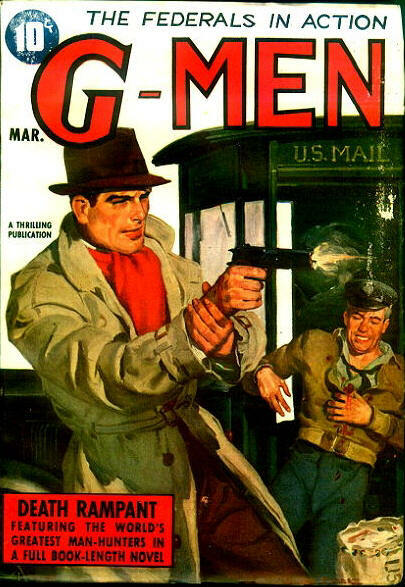 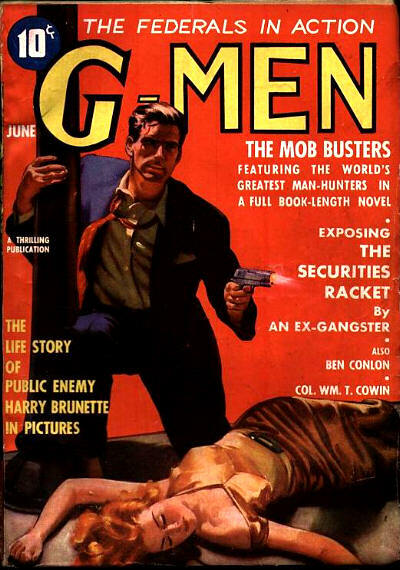 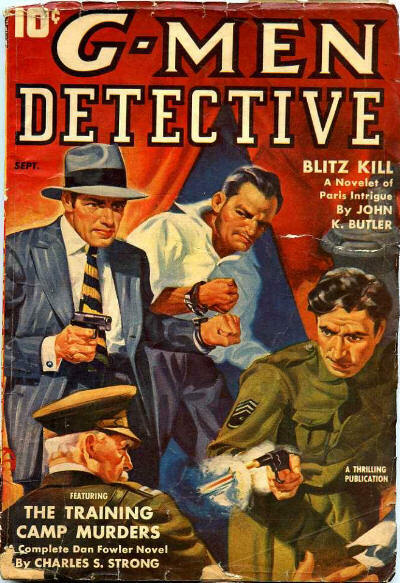 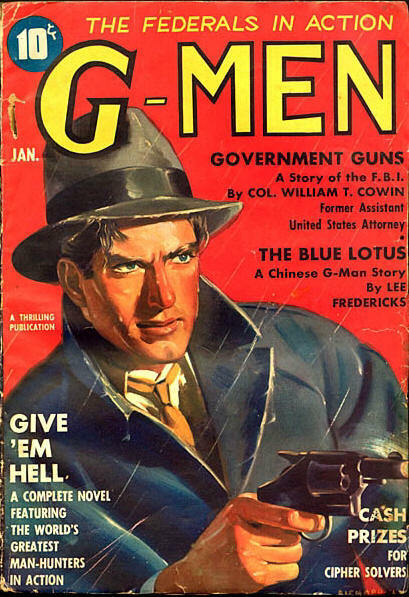 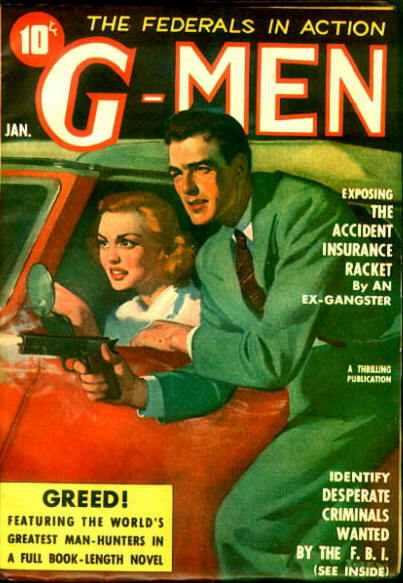 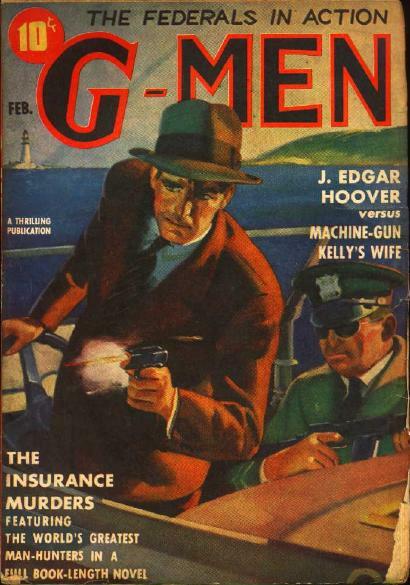 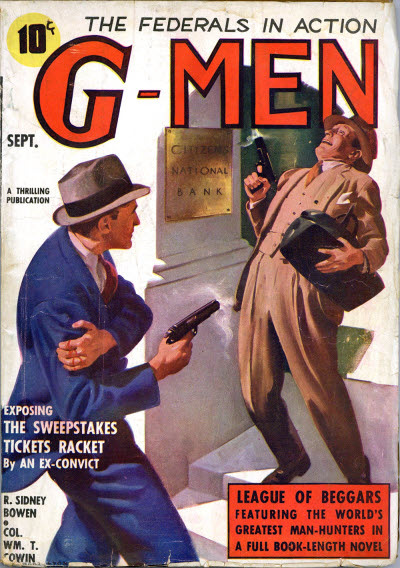 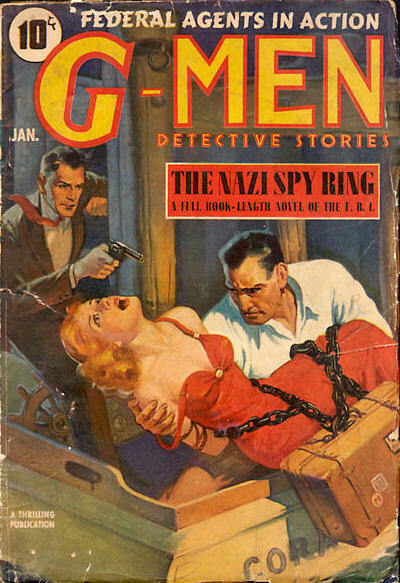 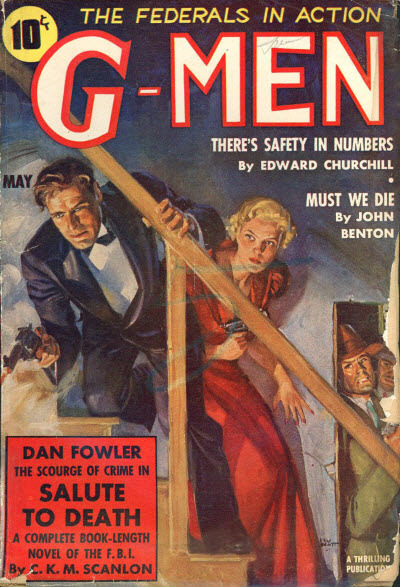 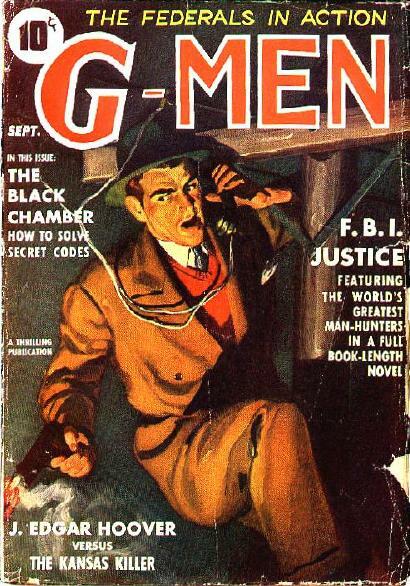 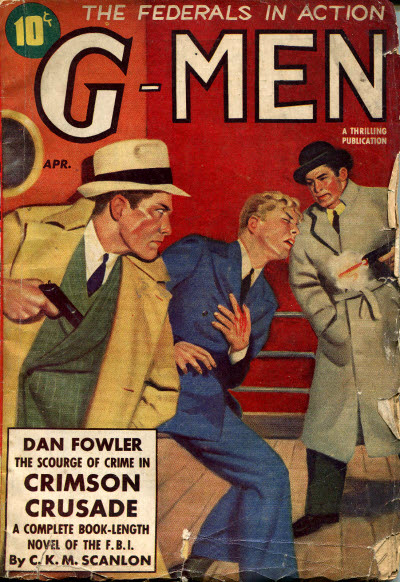 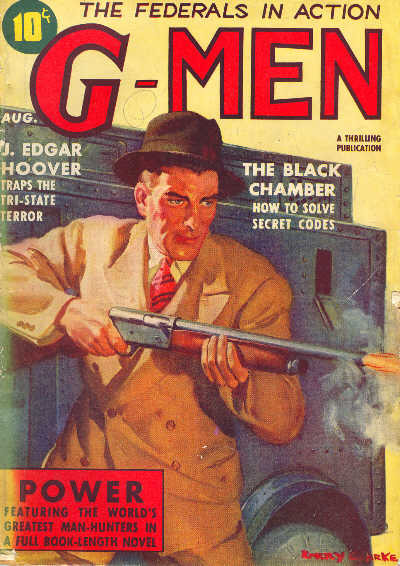 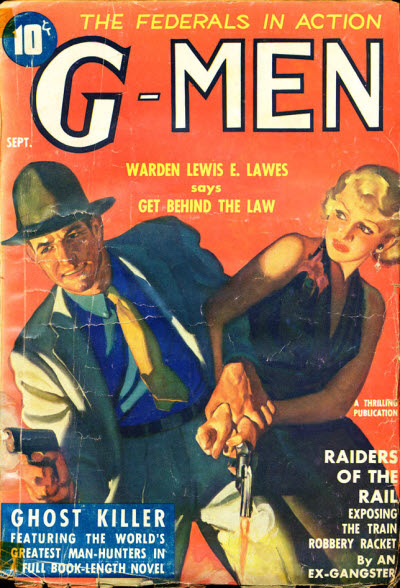 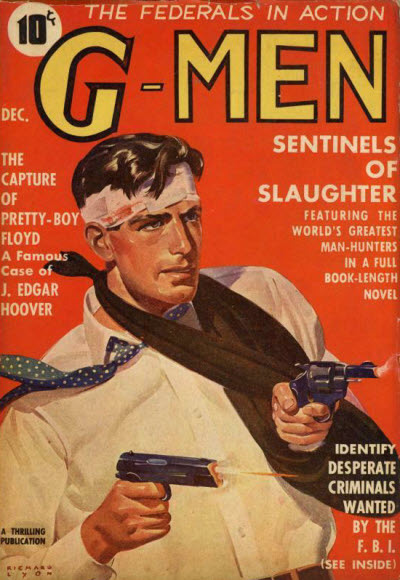 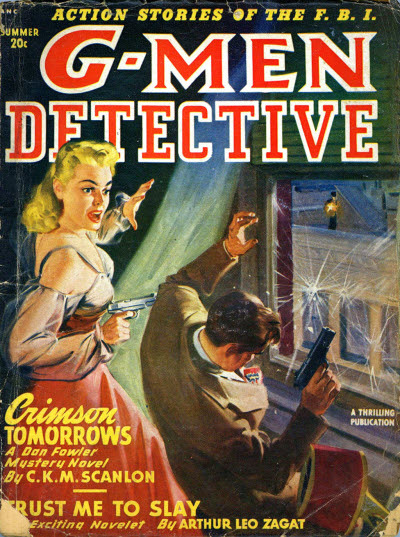 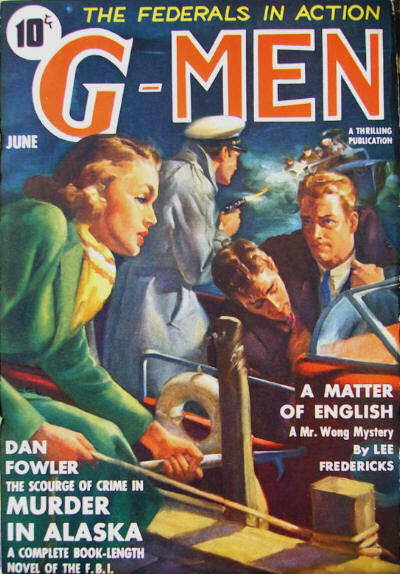 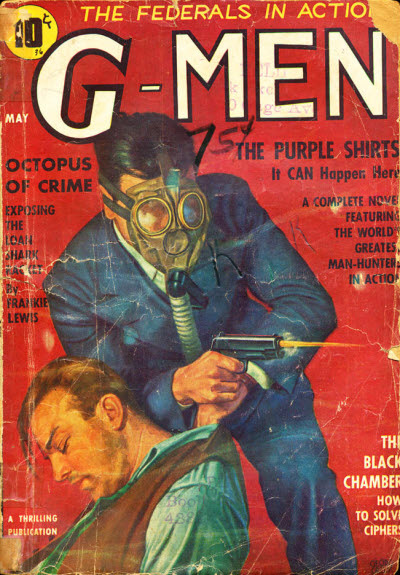 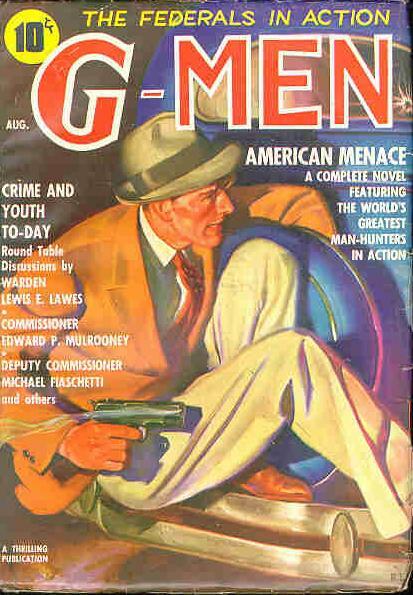 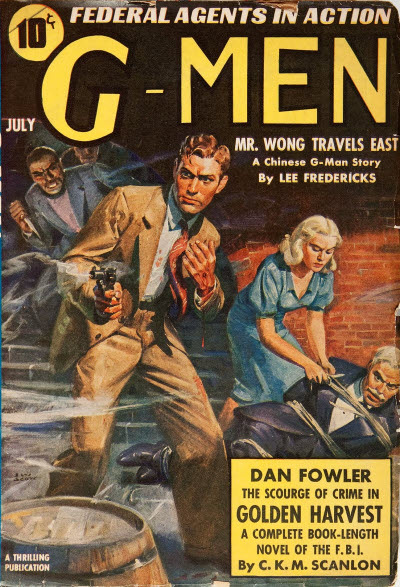 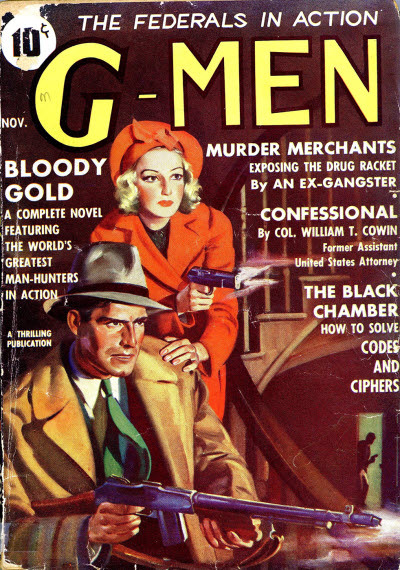 G-Men was launched by Standard Magazines in 1935 and rapidly established itself as the most popular of those featuring federal agent crime stories. 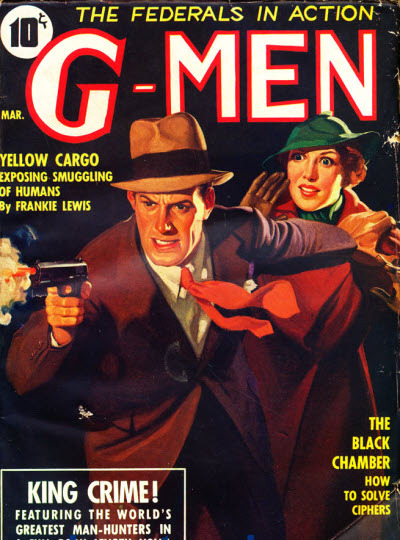 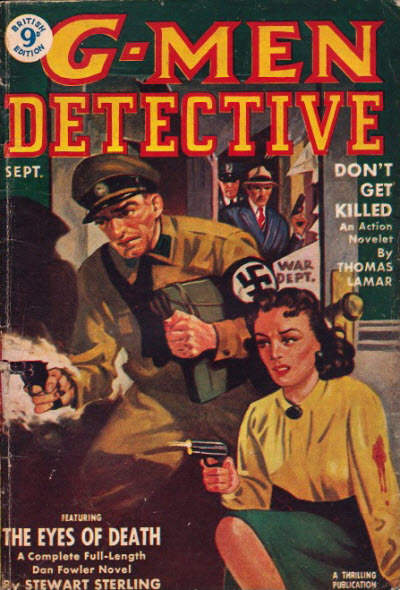 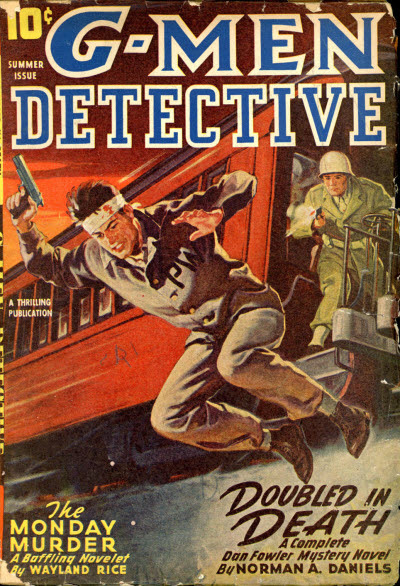 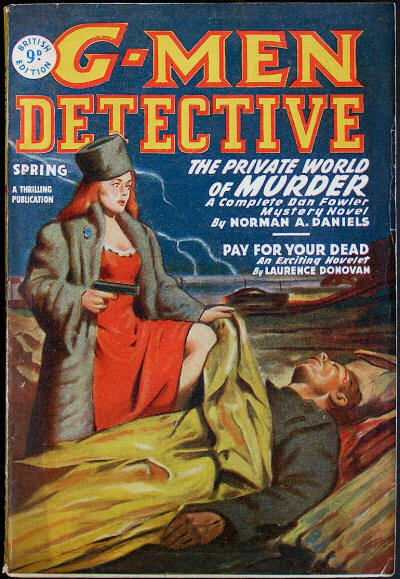 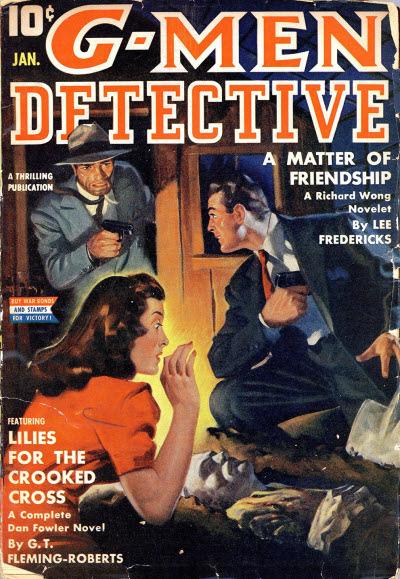 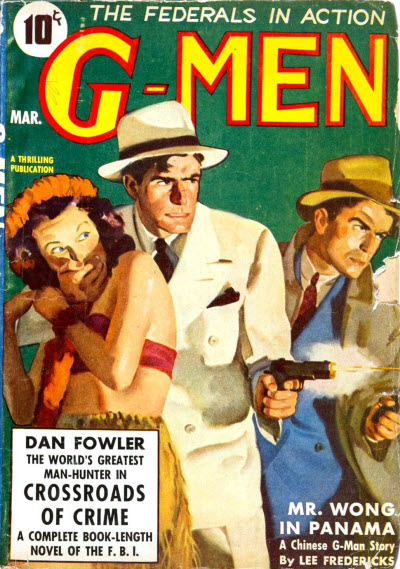 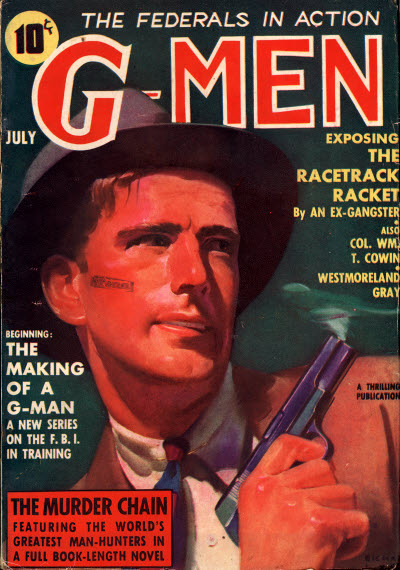 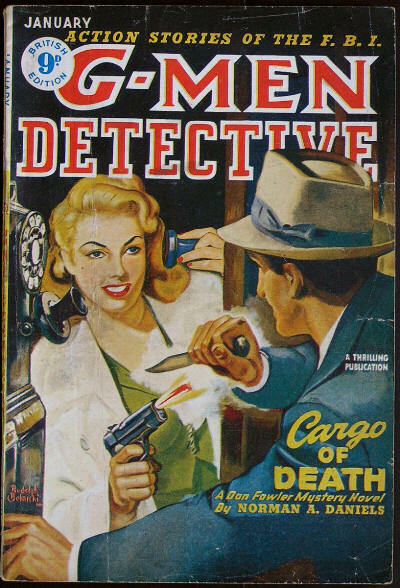 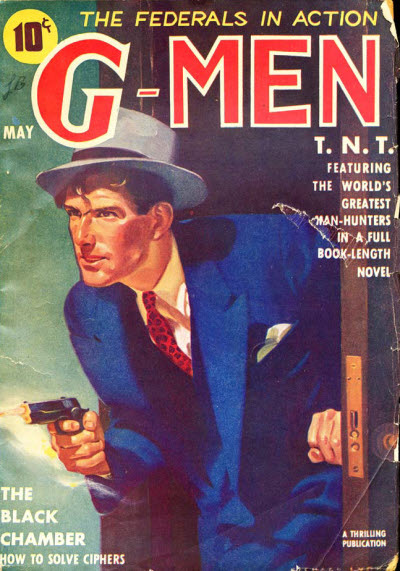 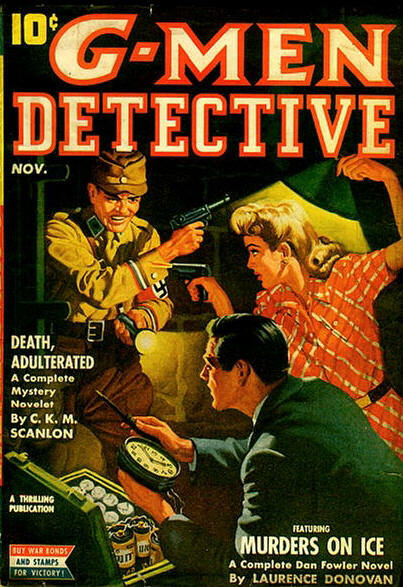 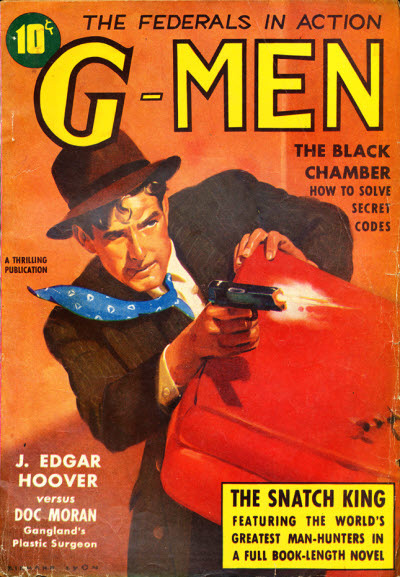 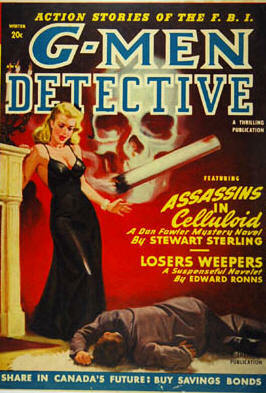 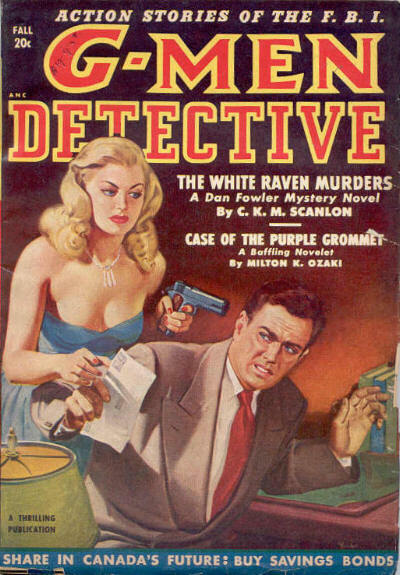 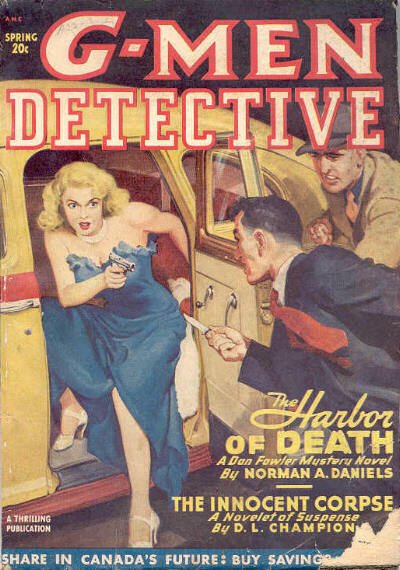 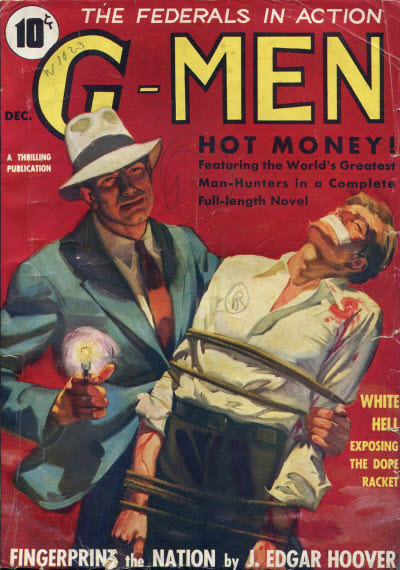 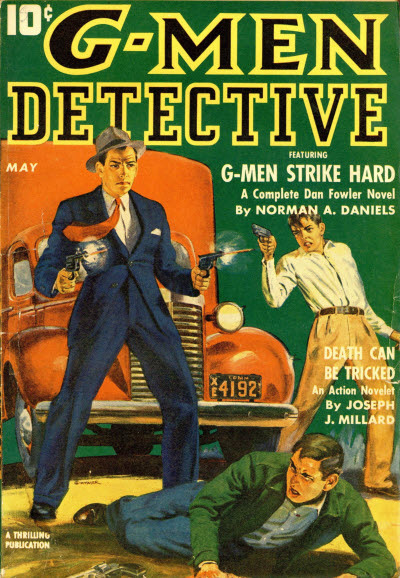 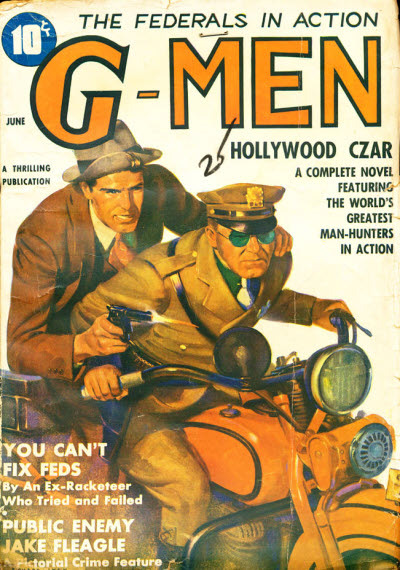 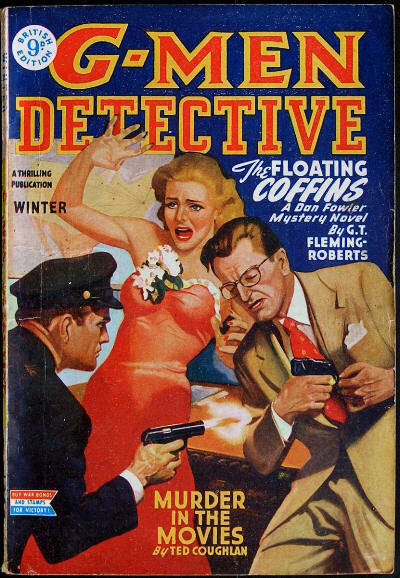 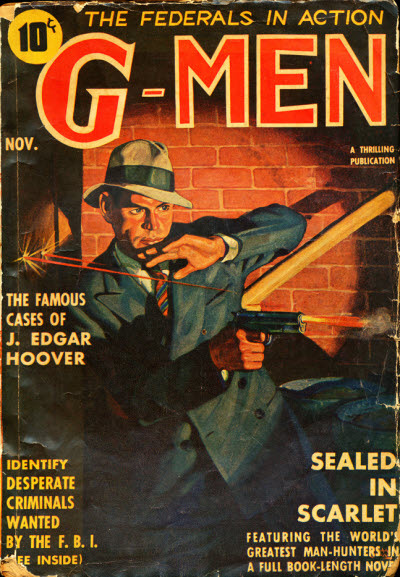 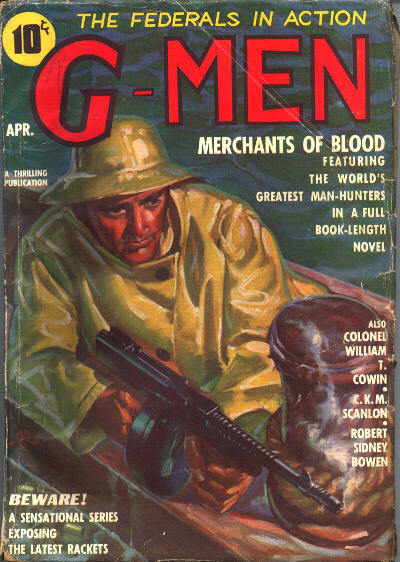 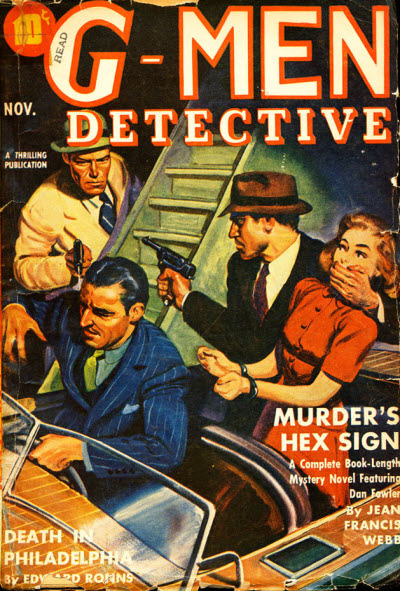 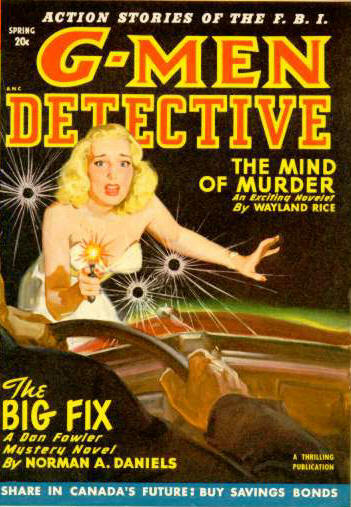 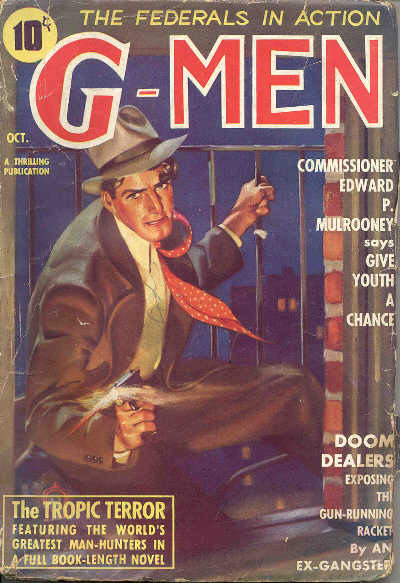 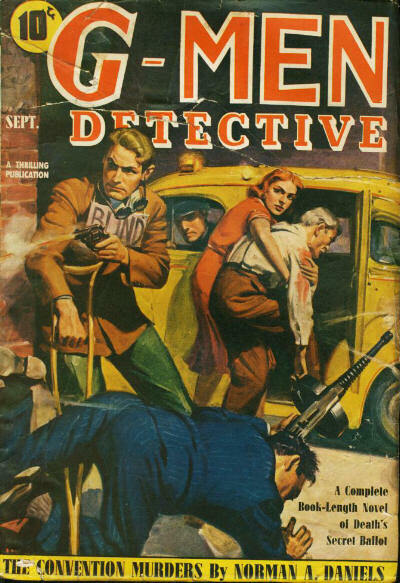 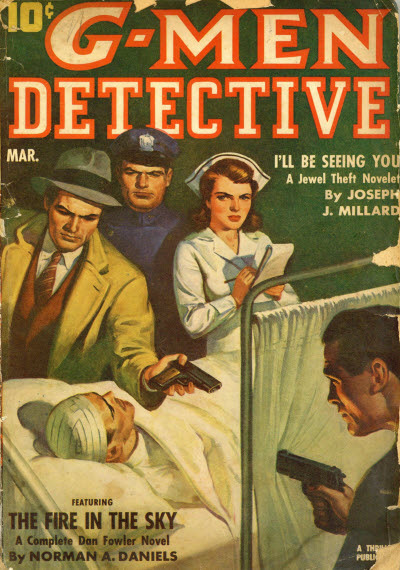 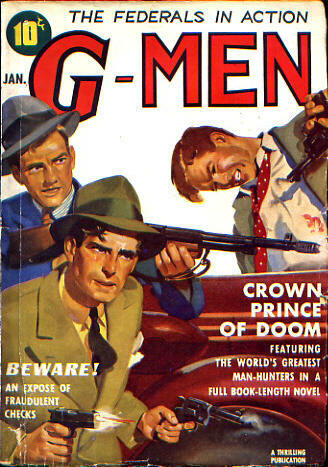 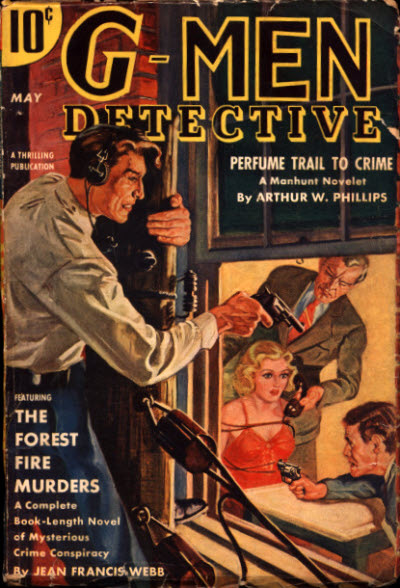 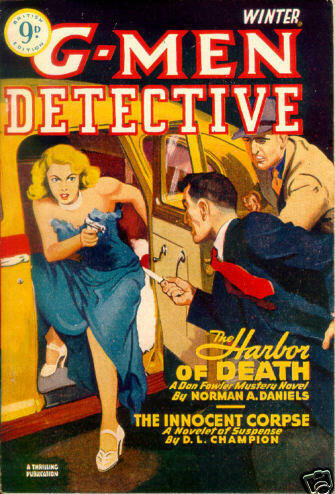 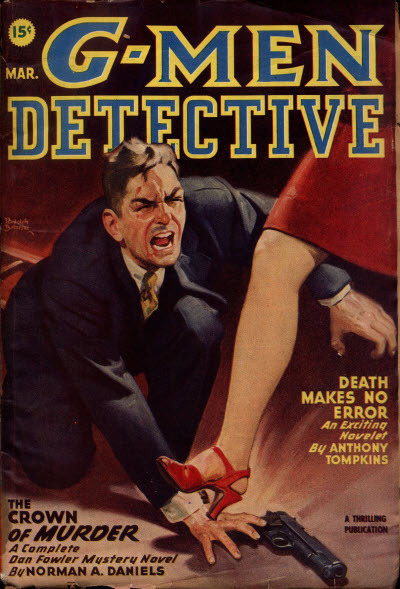 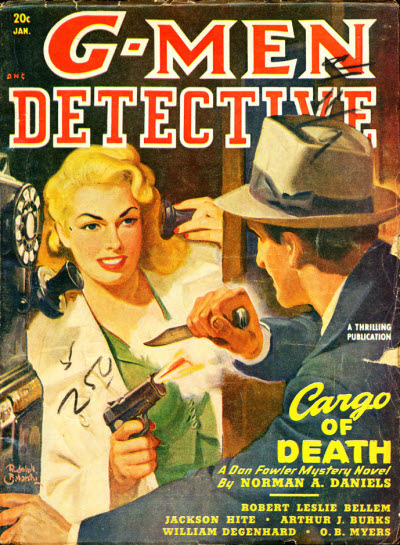 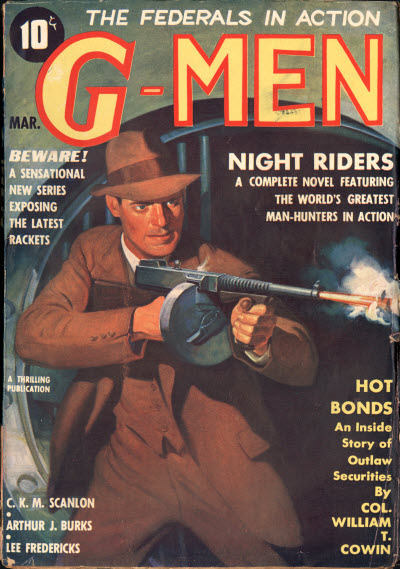 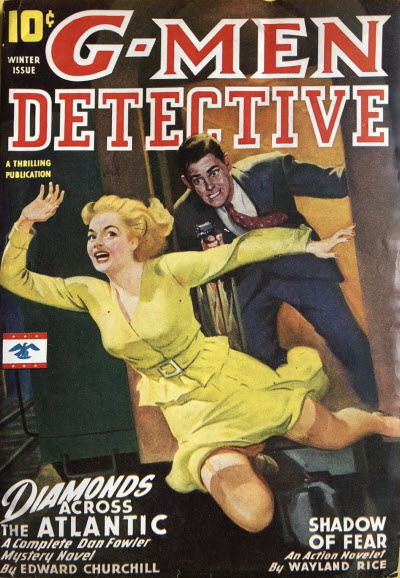 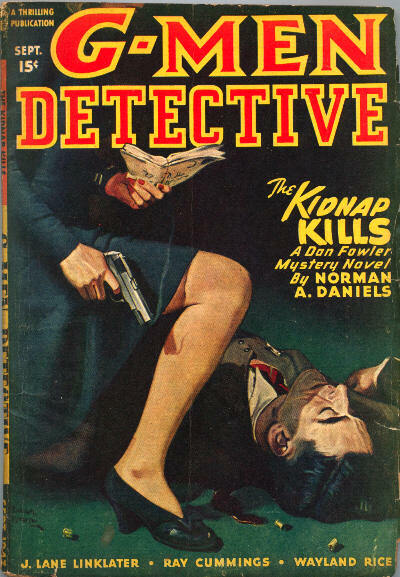 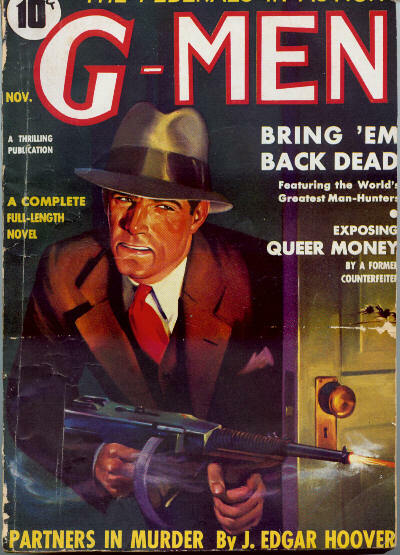 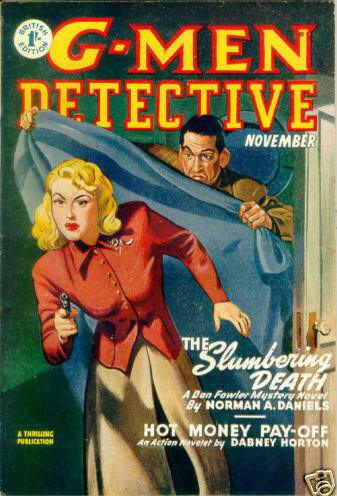 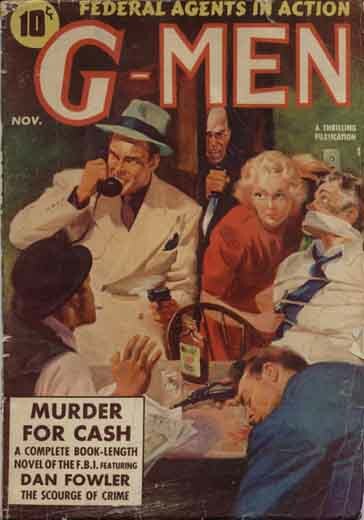 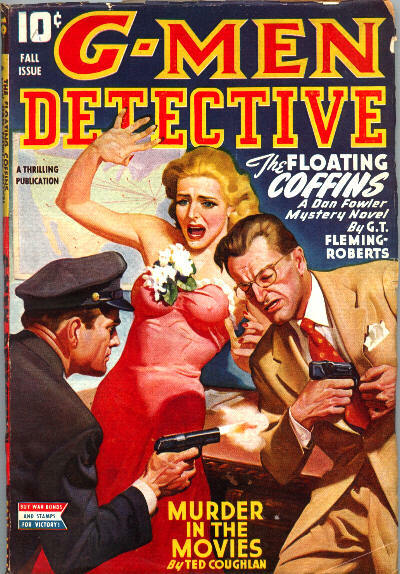 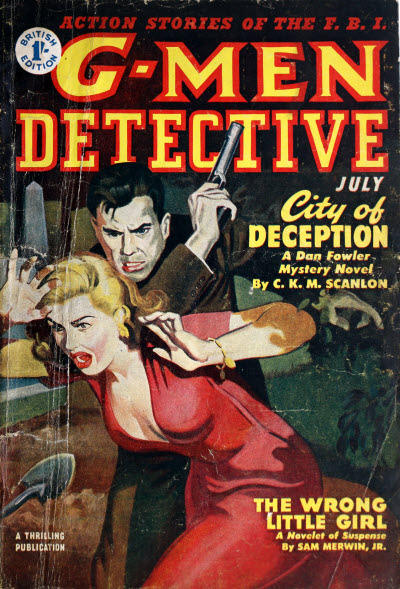 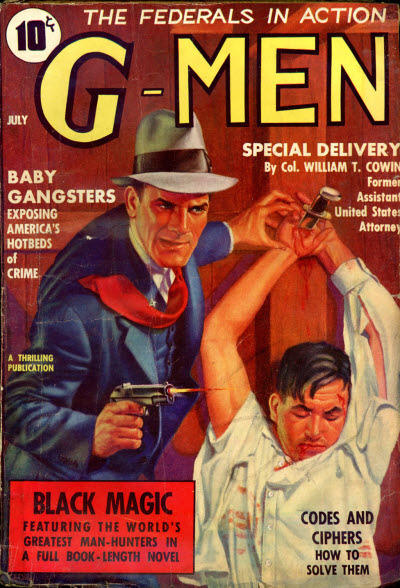 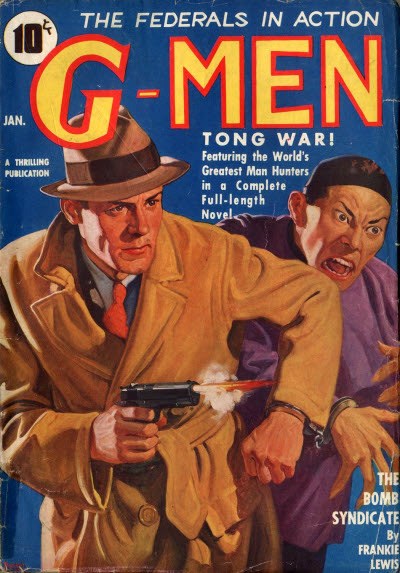 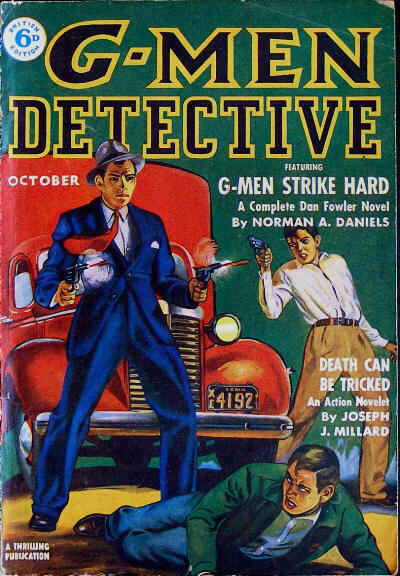 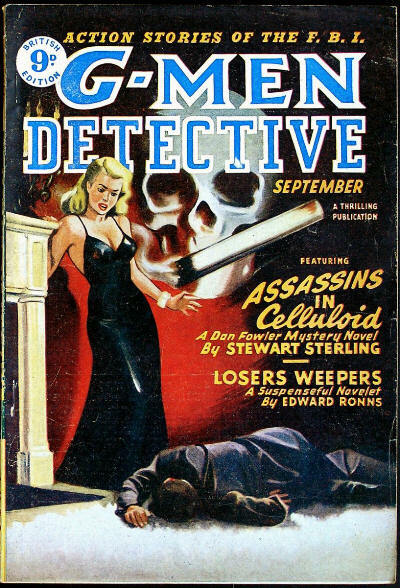 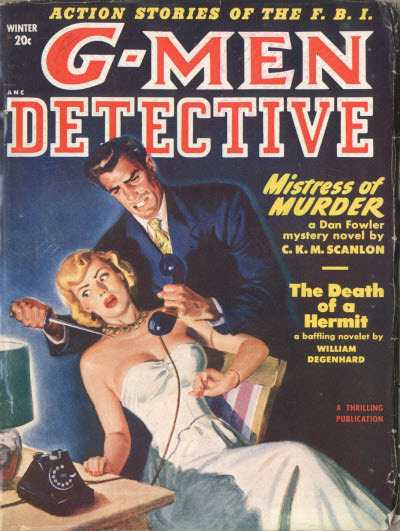 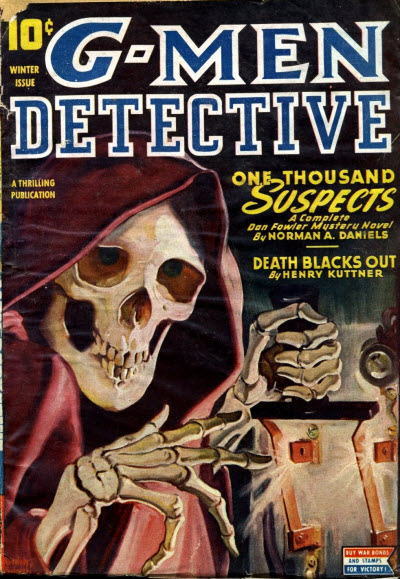 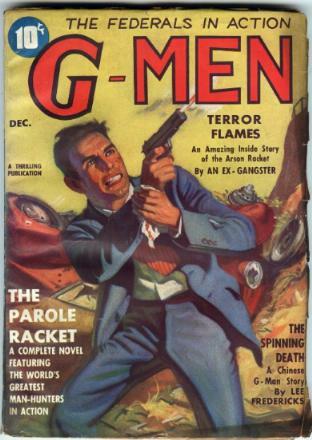 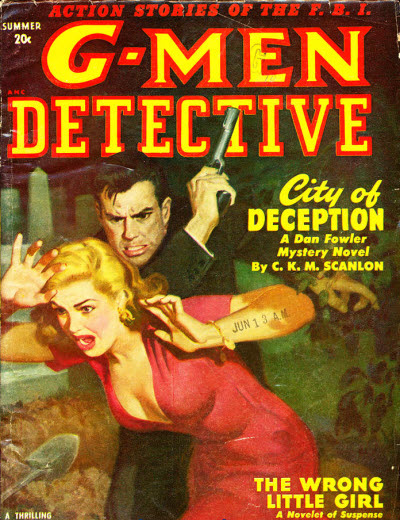 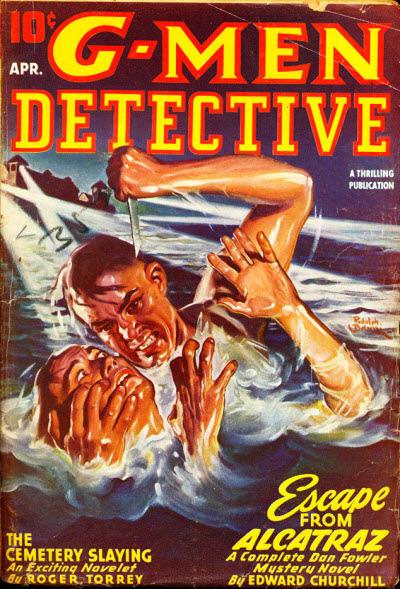 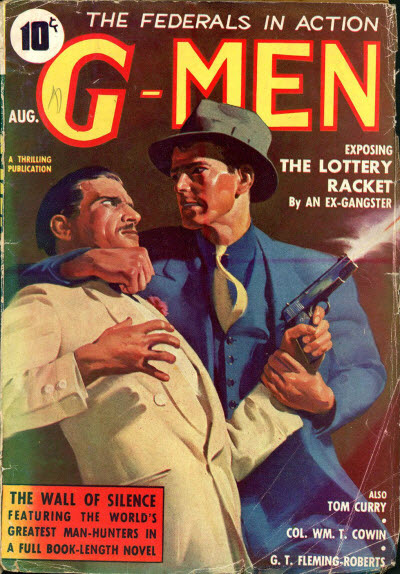 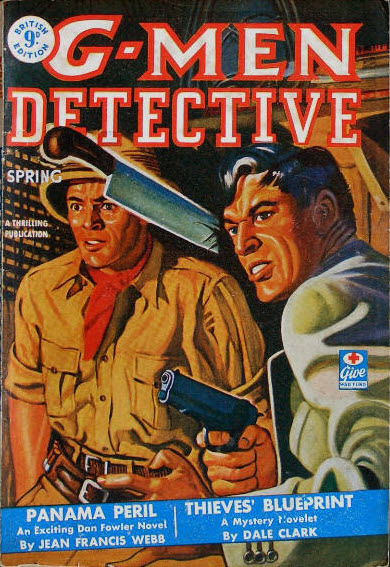 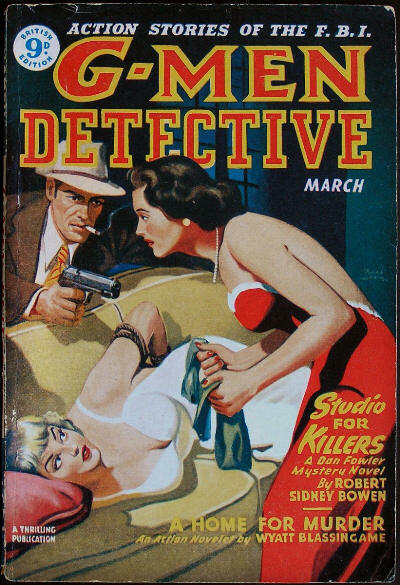 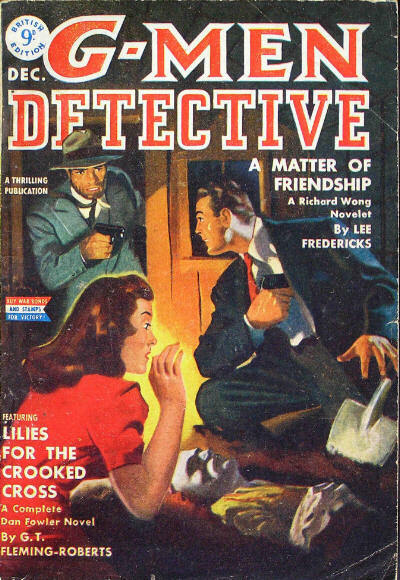 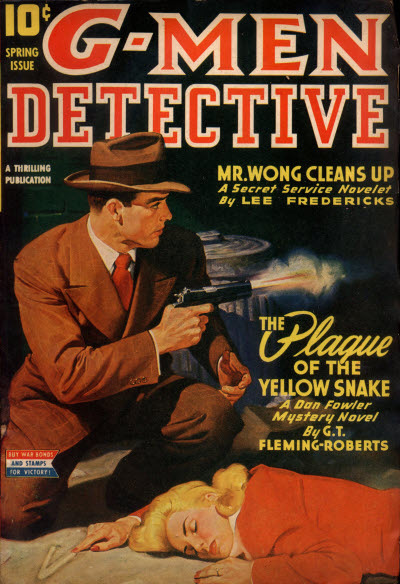 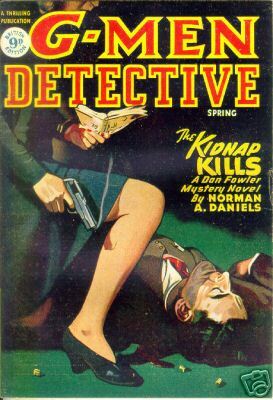 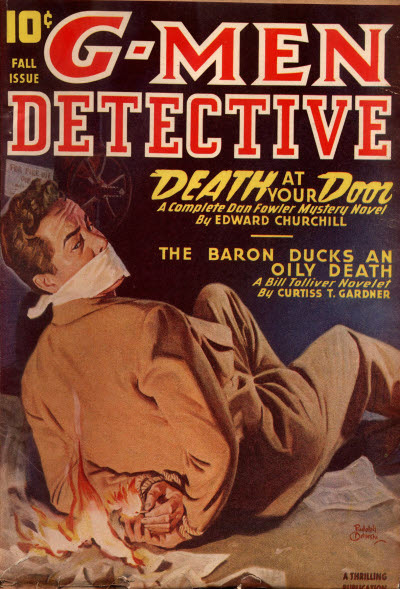 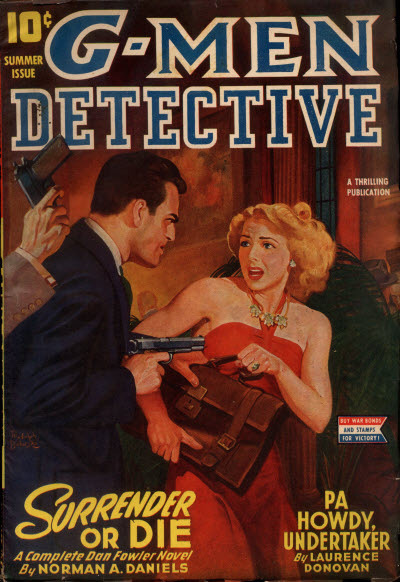 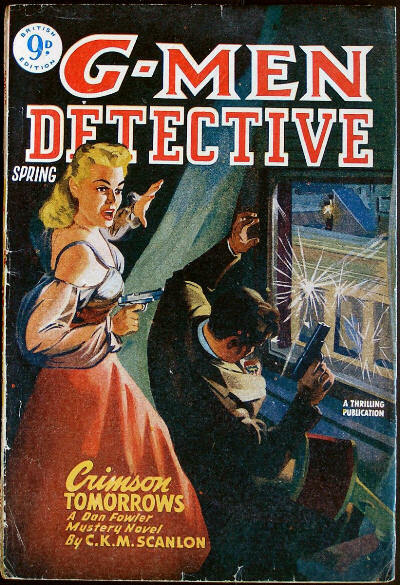 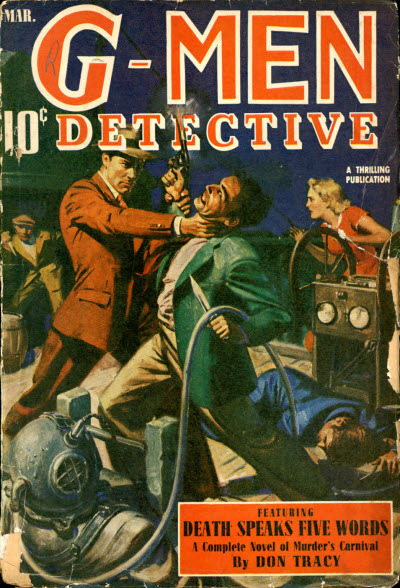 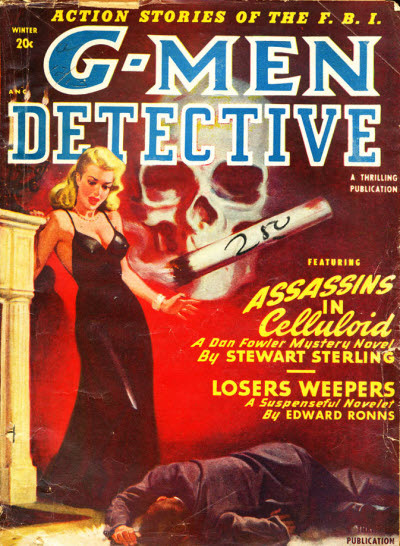 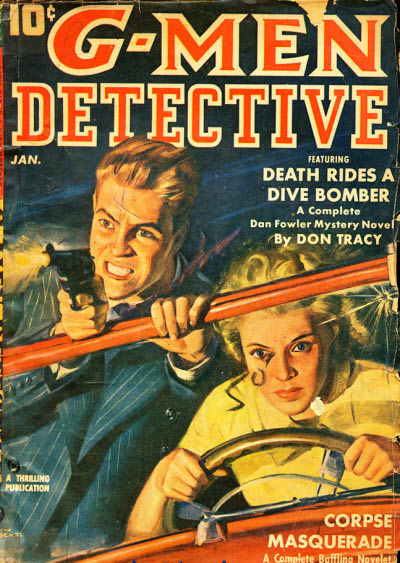 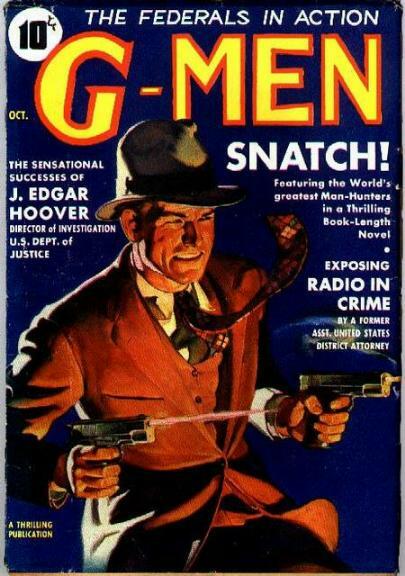 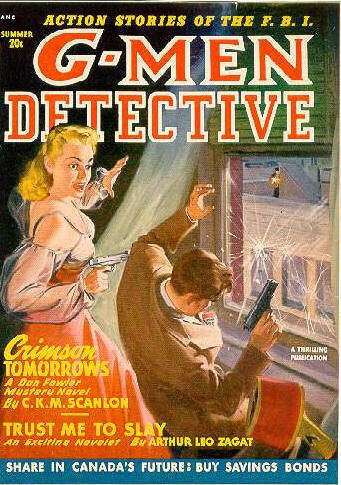 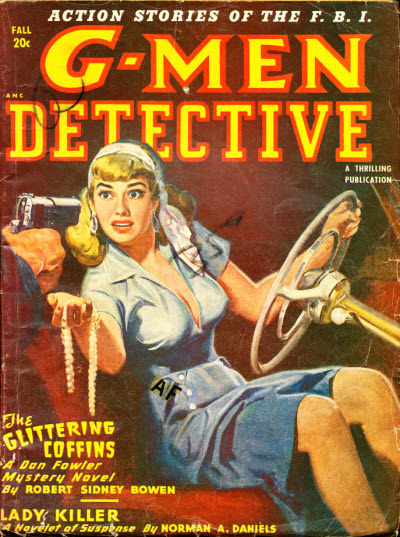 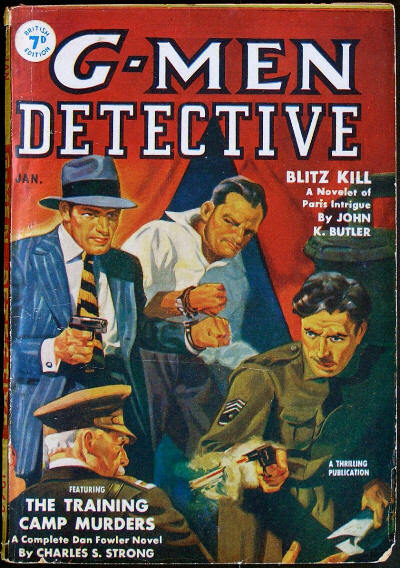 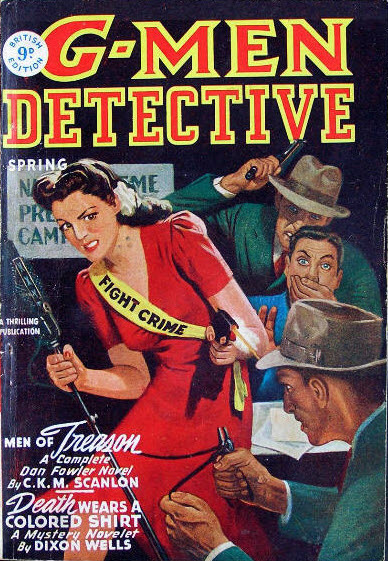 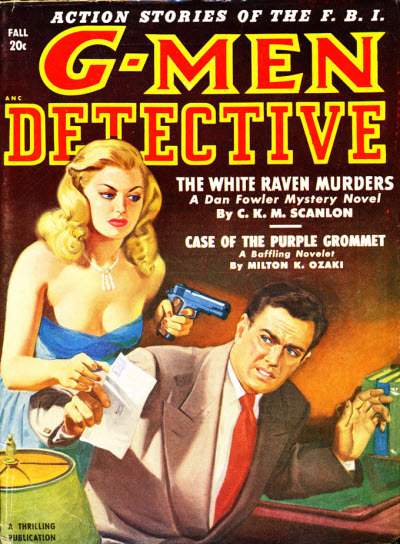 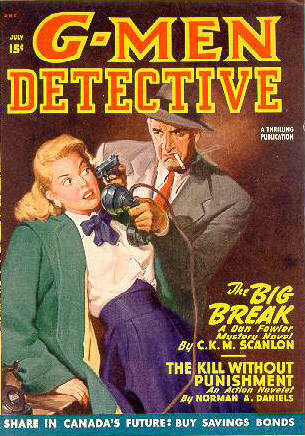 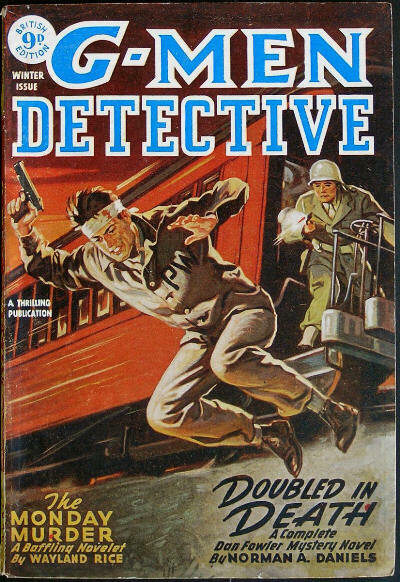 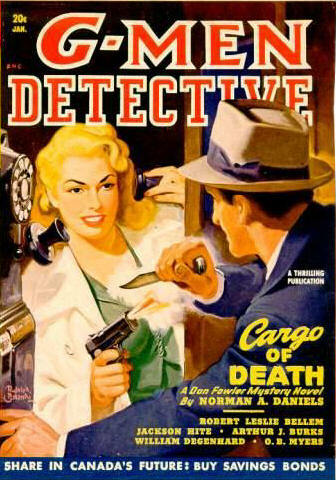 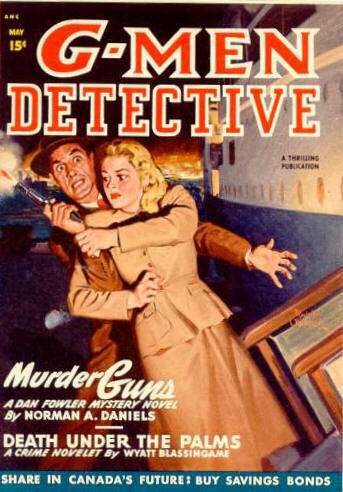 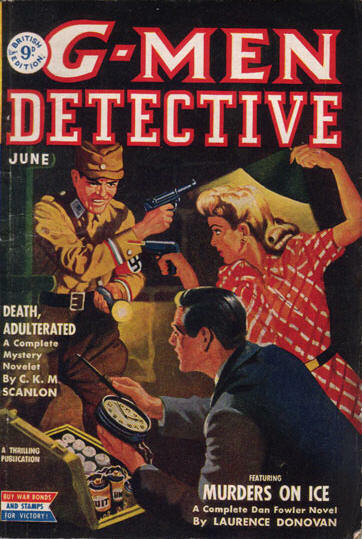 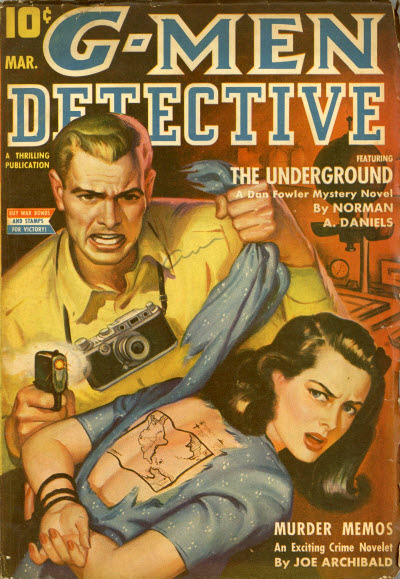 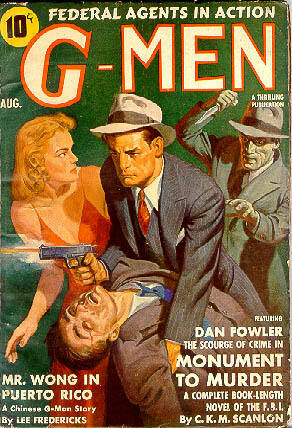 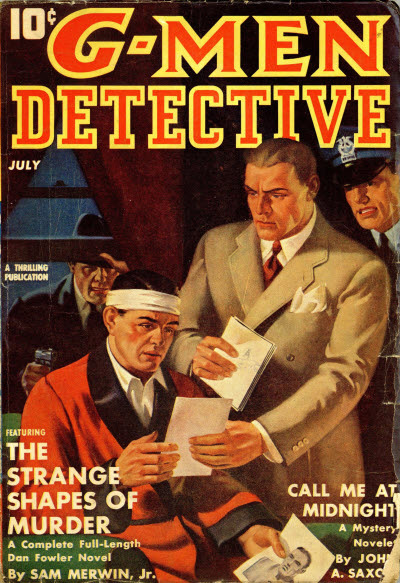 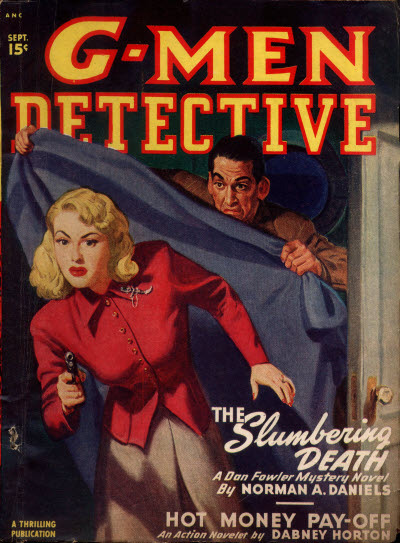 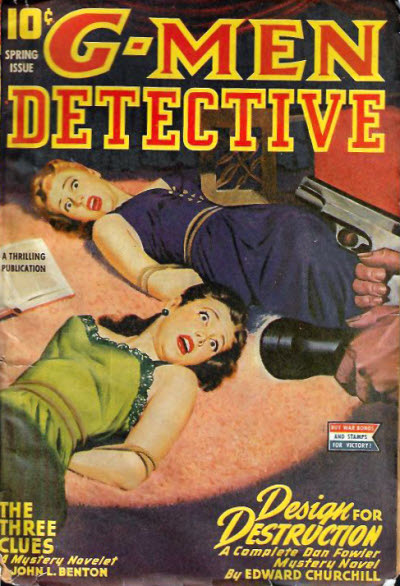 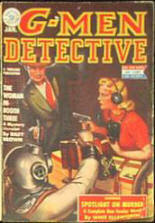 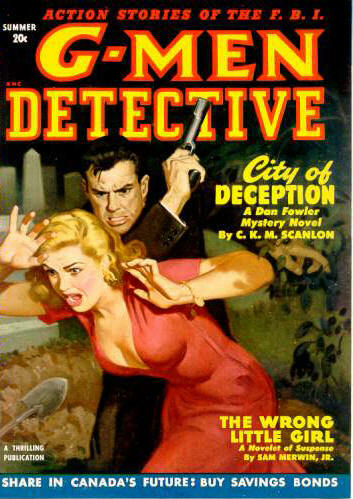 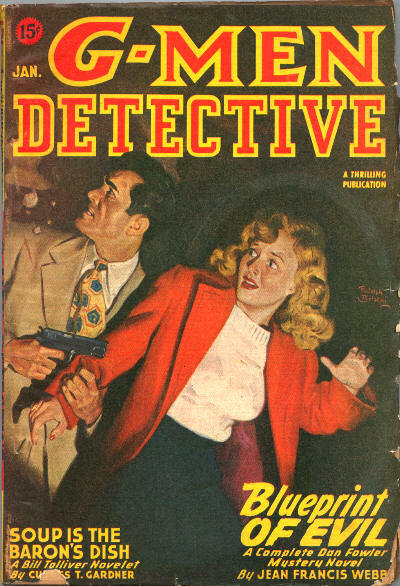 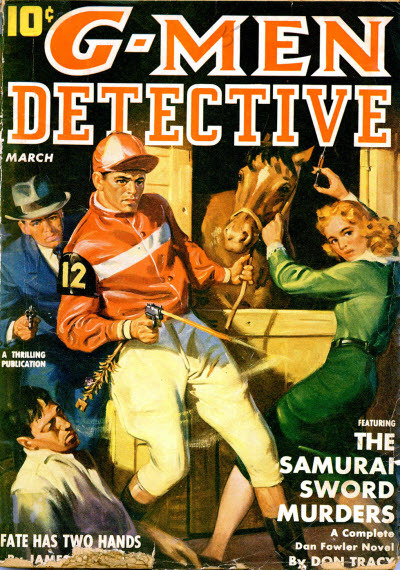 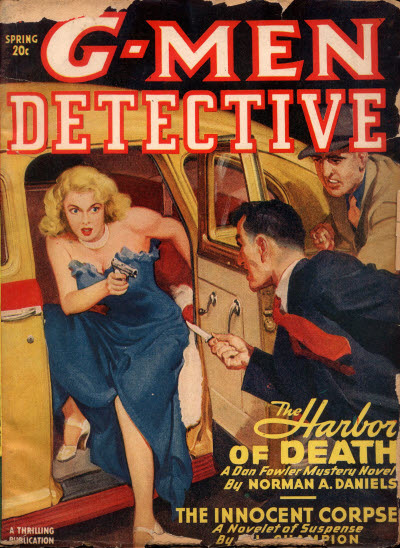 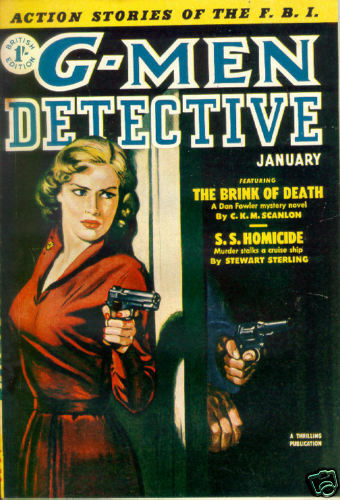 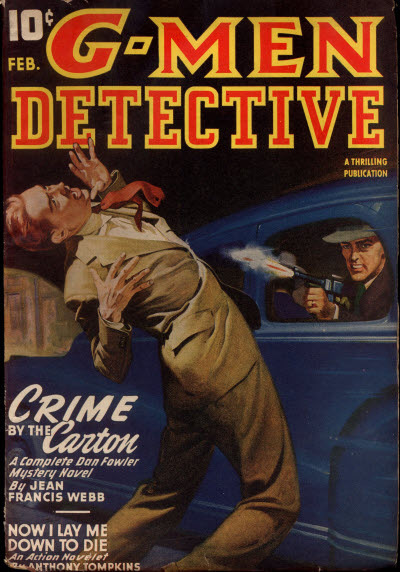 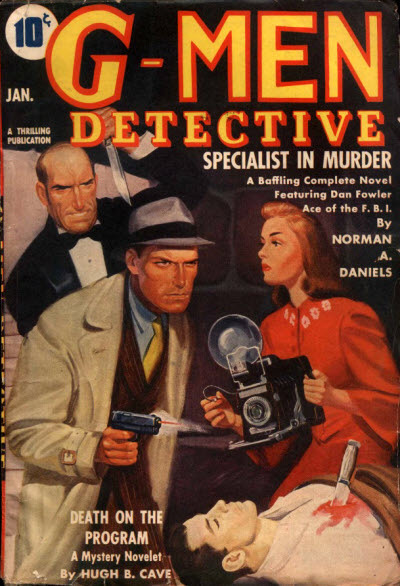 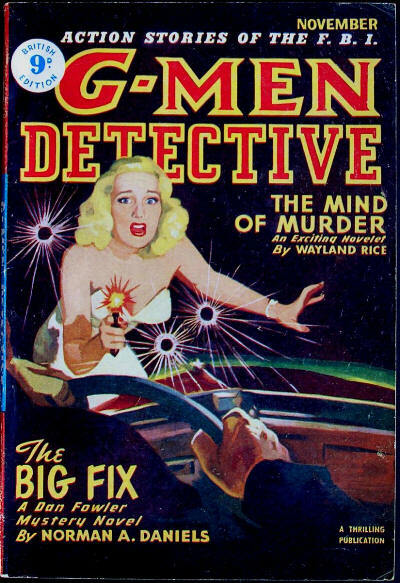 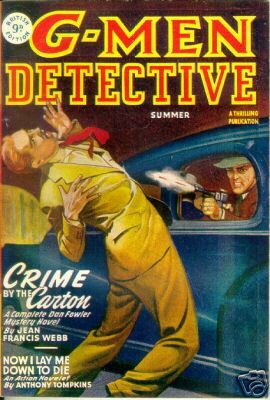 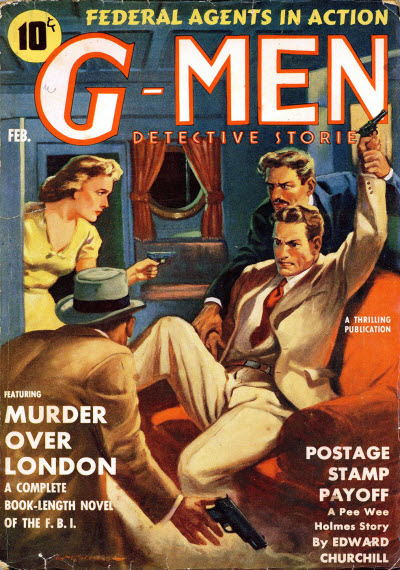 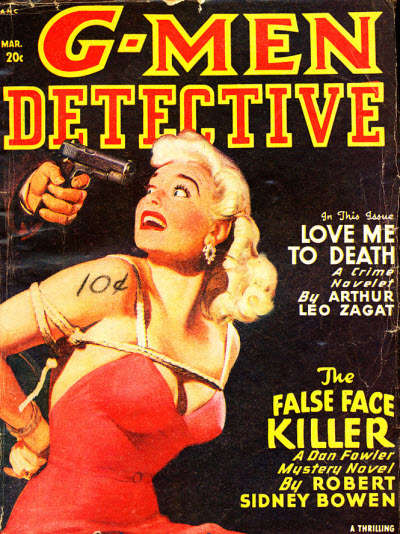 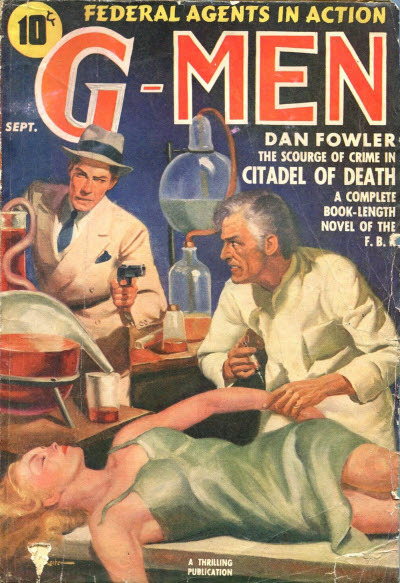 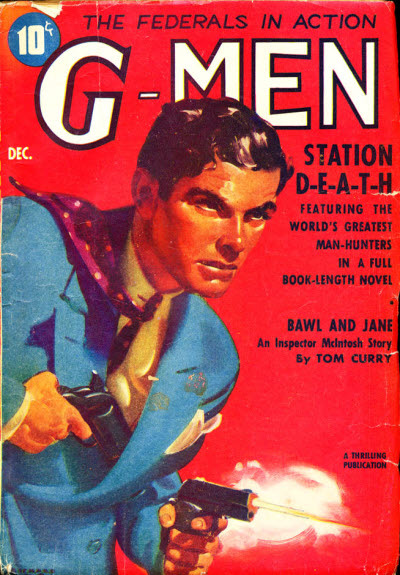 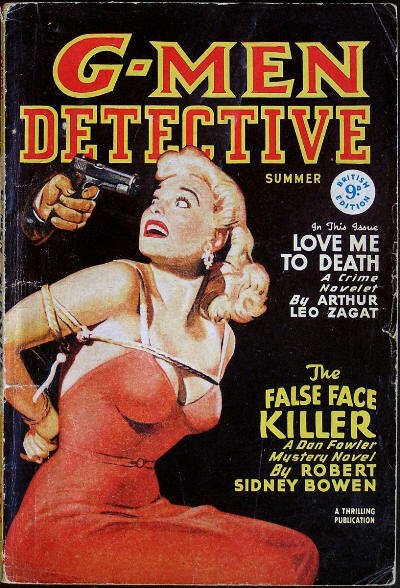 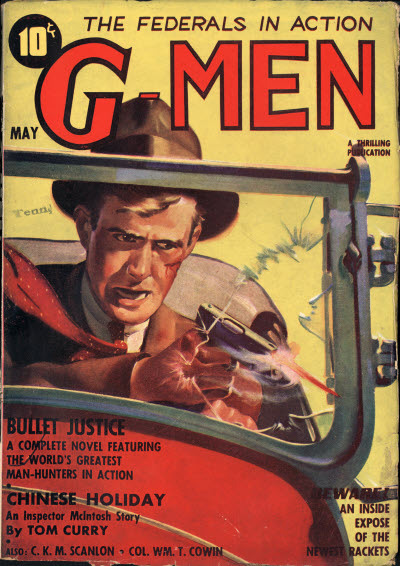 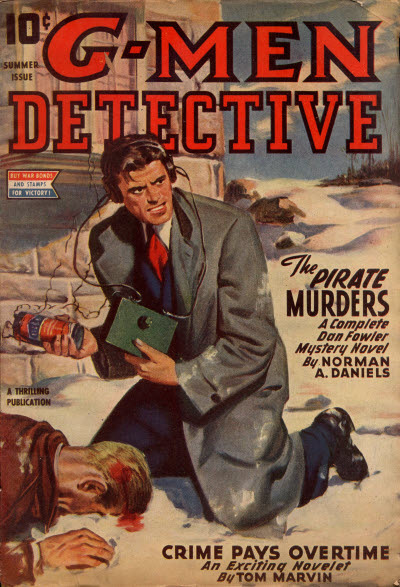 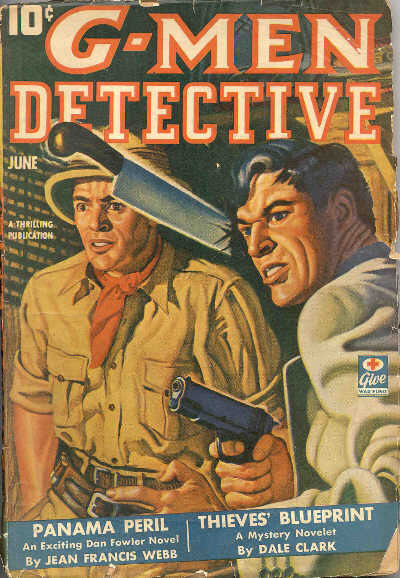 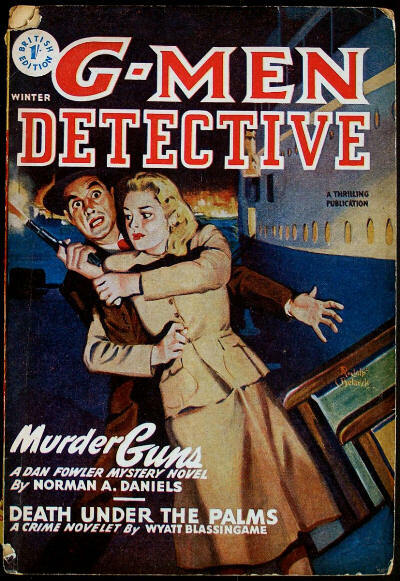 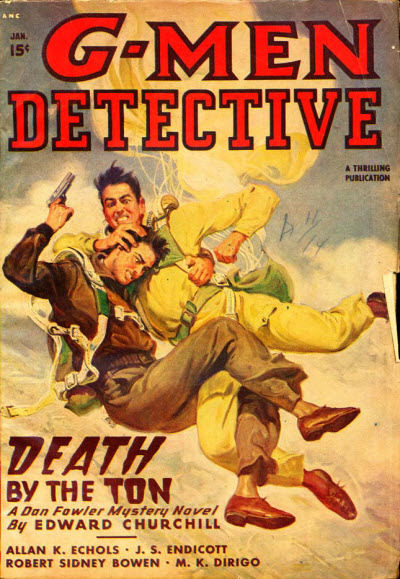 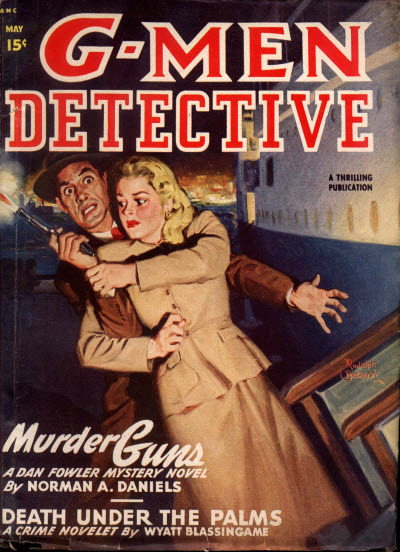 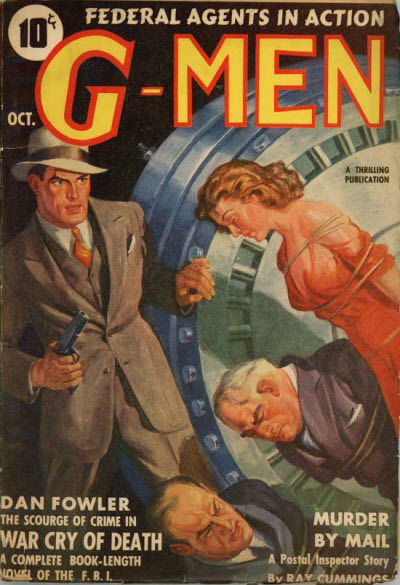 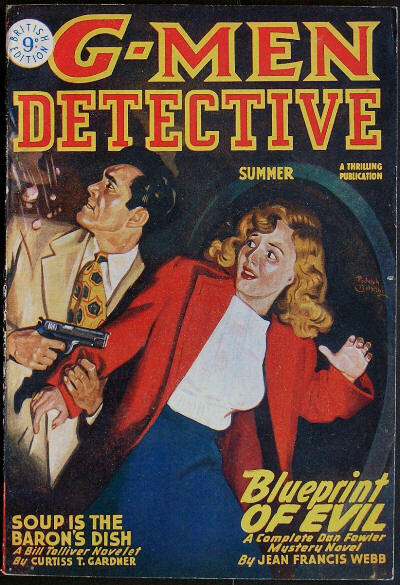 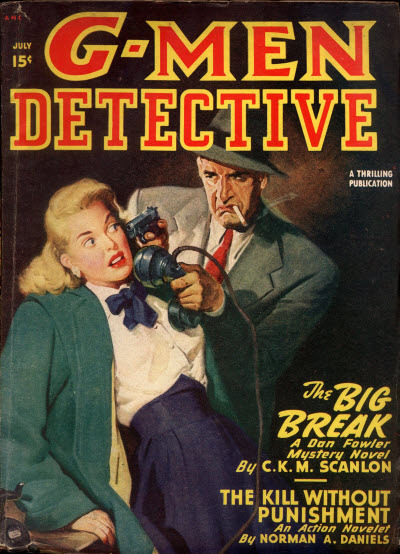 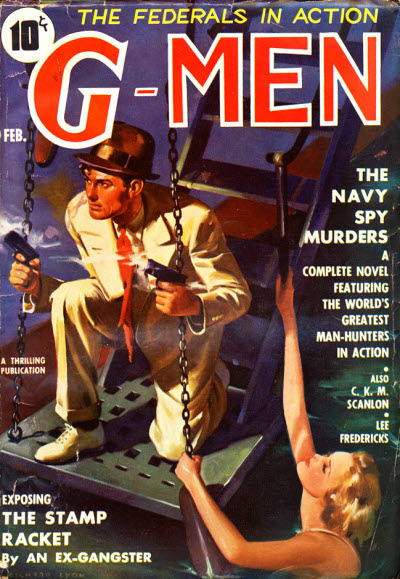 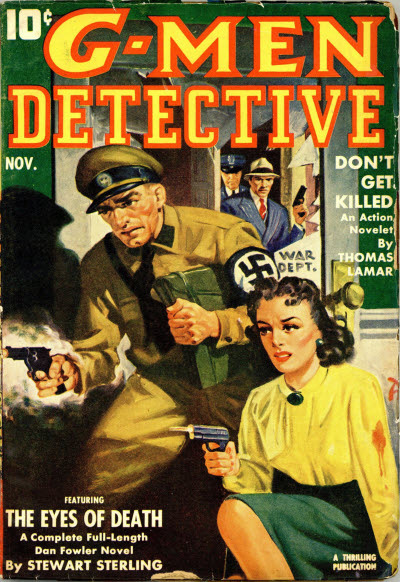 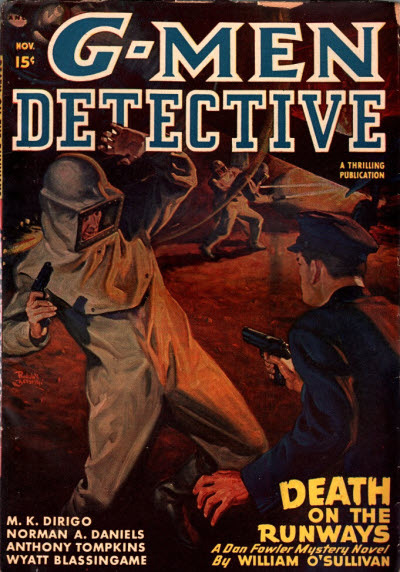 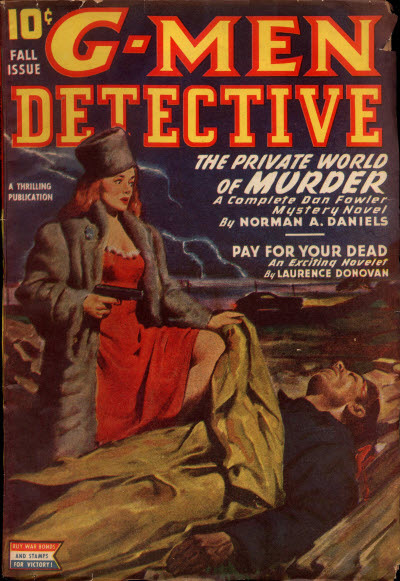 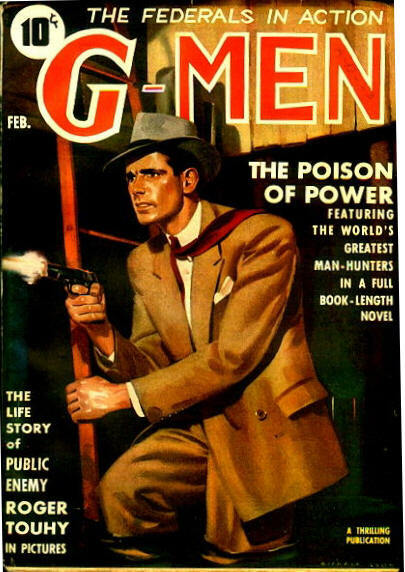 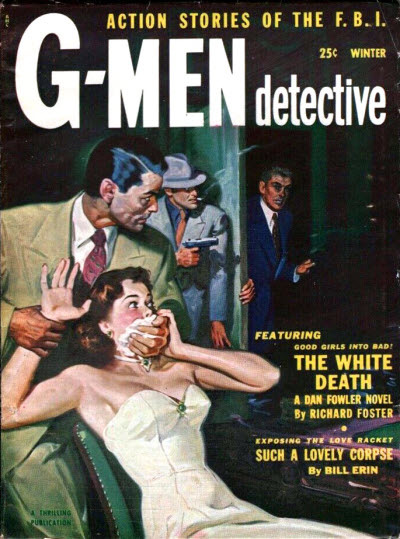 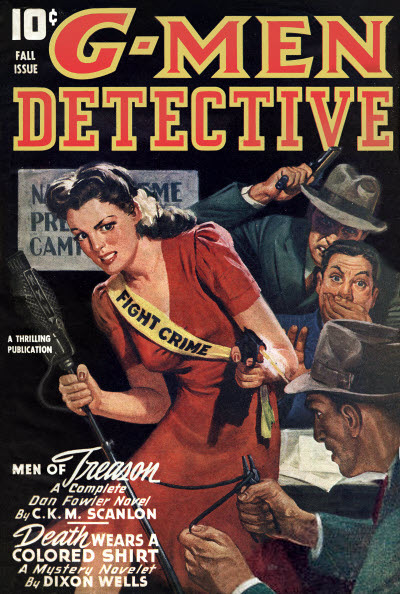 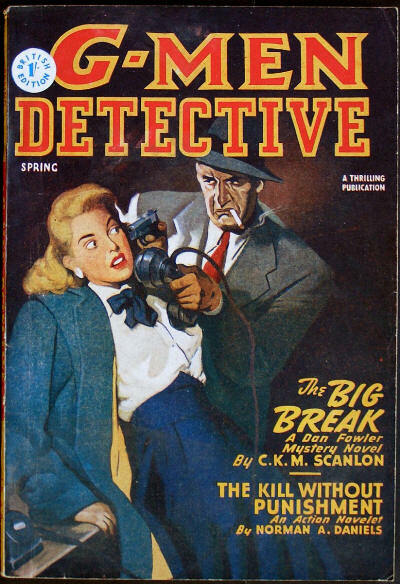 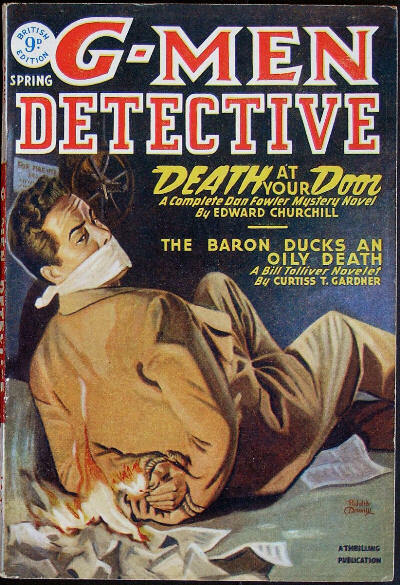 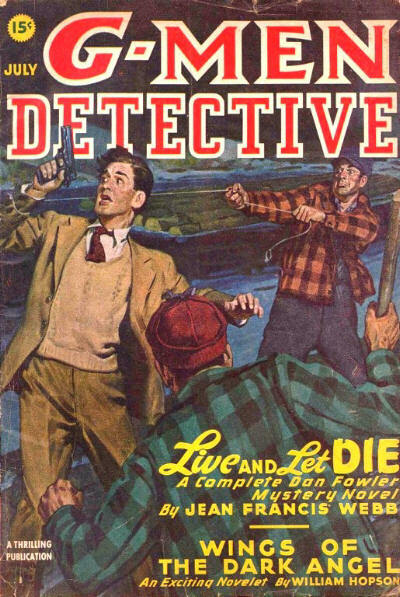 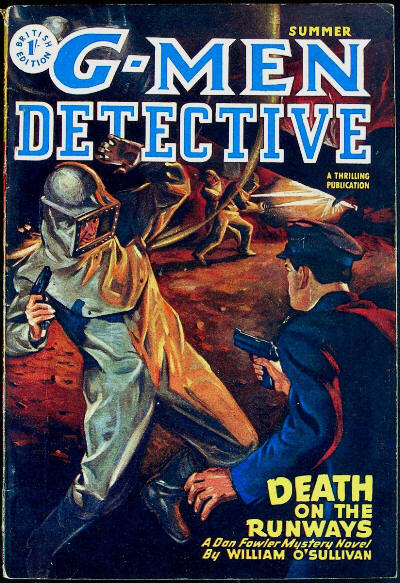 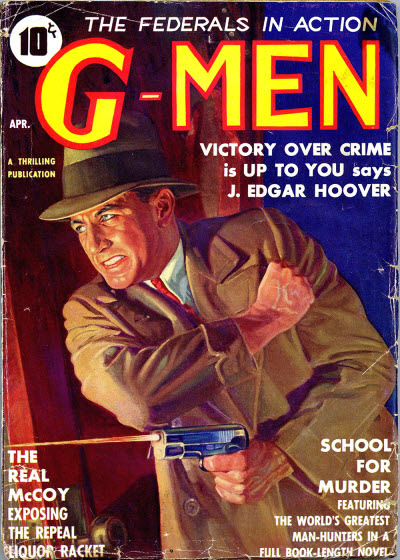 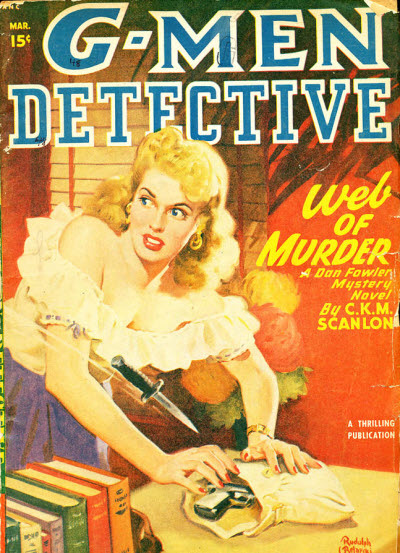 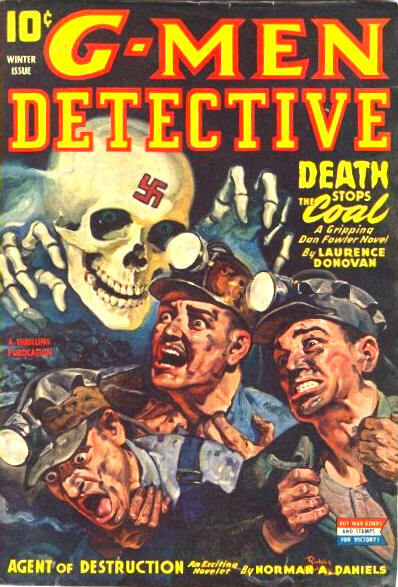 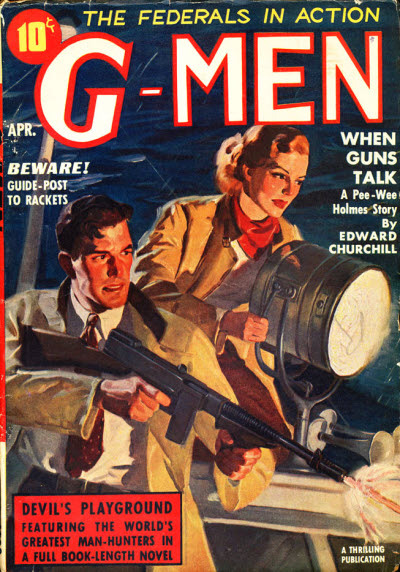 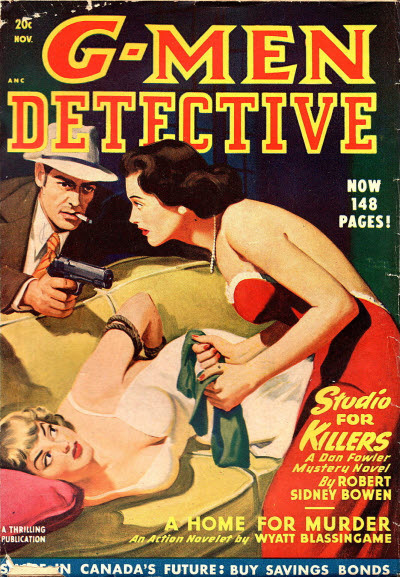 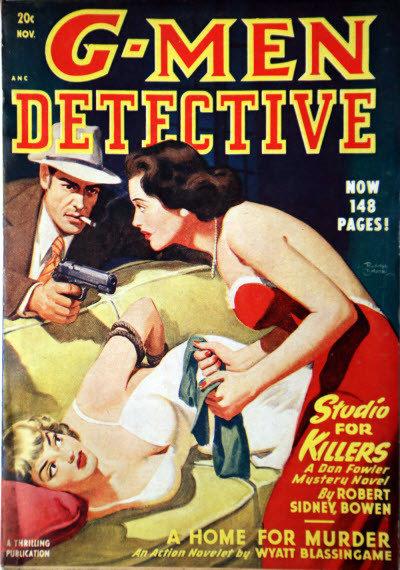 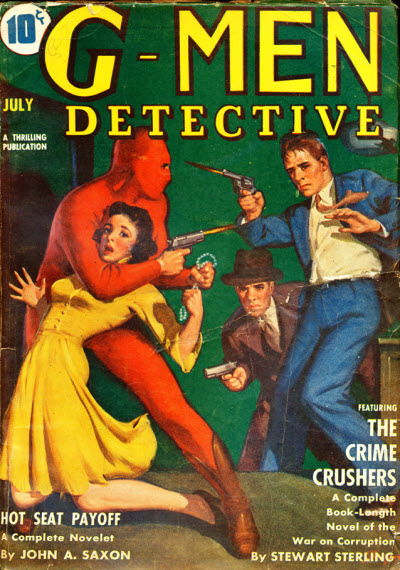 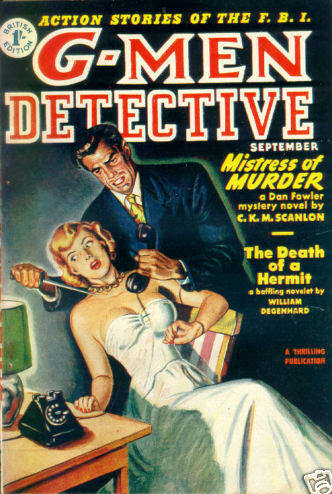 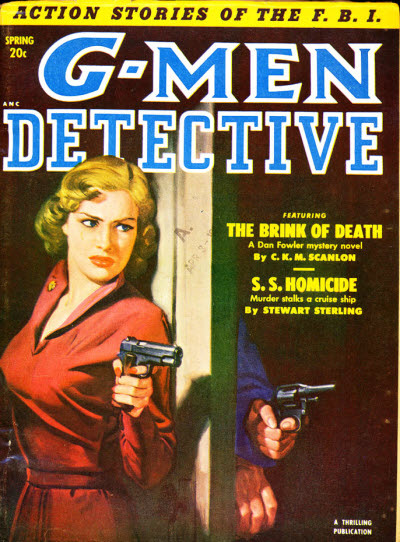 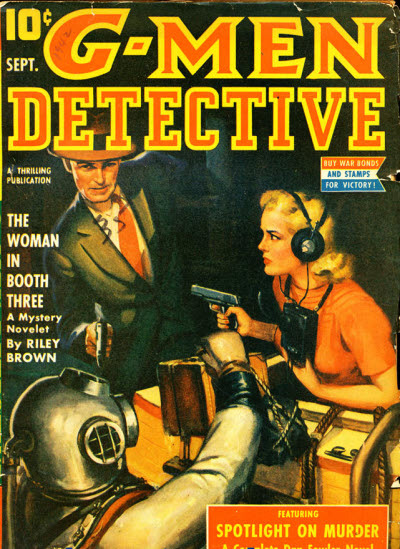 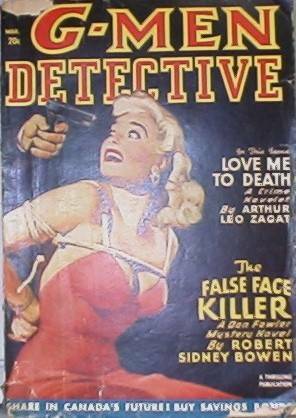 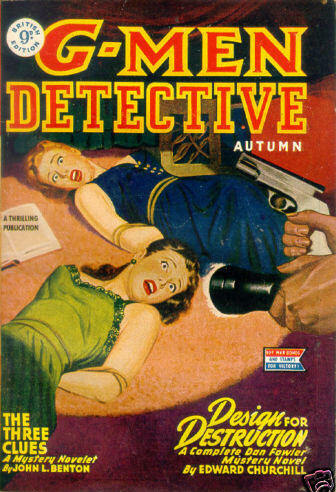 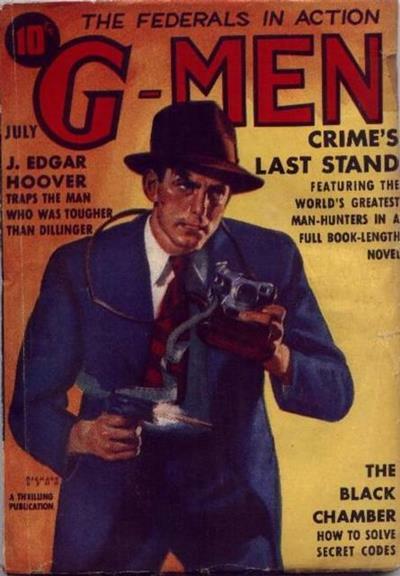 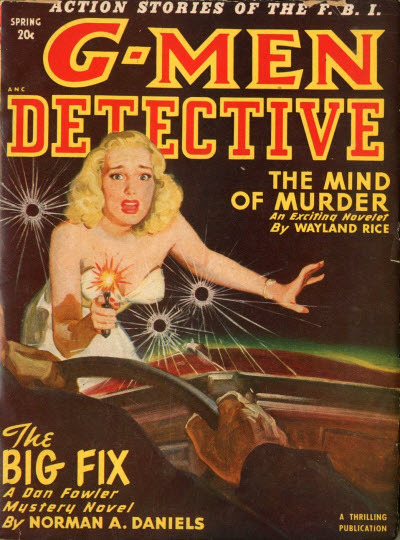 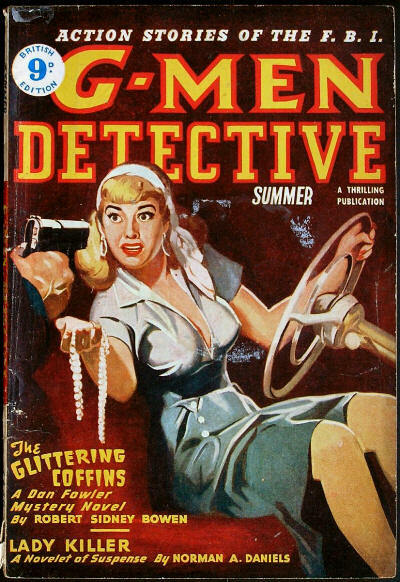 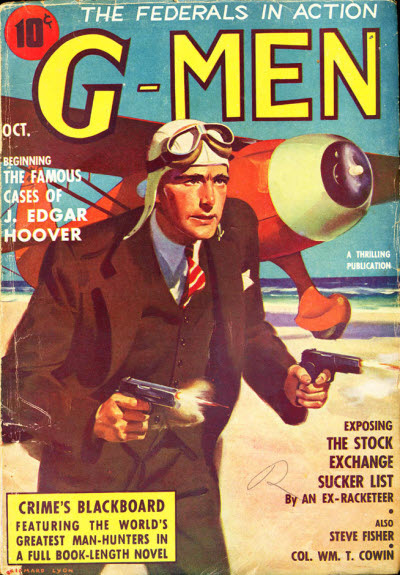 It ran for 53 monthly issues until Feb-1940 at which point the decline of interest in "G-Man" stories caused a slight change in title (and emphasis) to G-Men Detective and a shift to a bimonthly schedule (occasionally falling to quarterly) which it maintained for a further 59 issues until the magazine folded in Winter 1953. 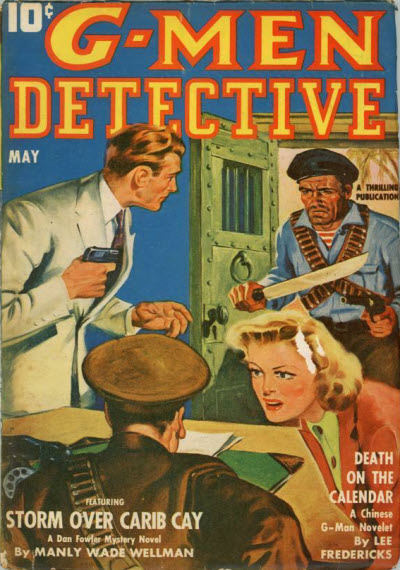 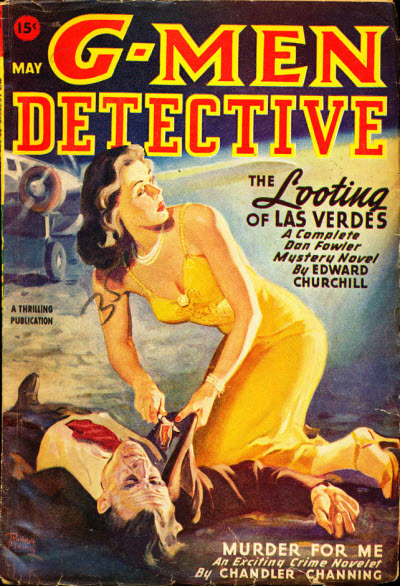 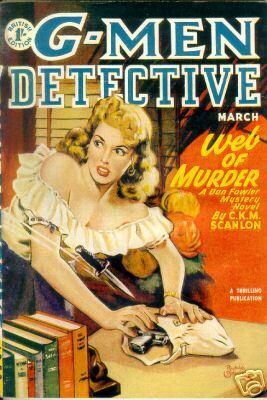 The magazine also had a long-running British reprint edition which was published by Atlas Publishing & Distributing and ran for 45 issues or so in the 1940s. 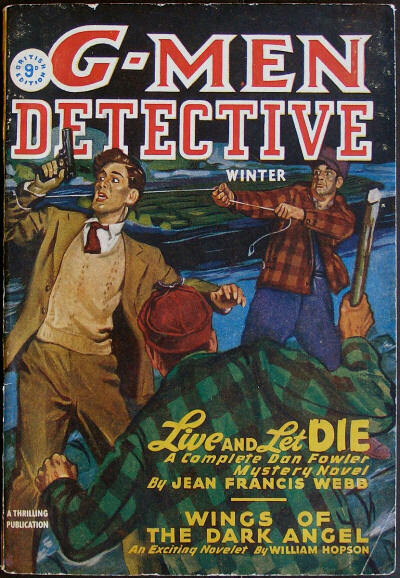 There was also a Canadian reprint edition, although very little is known about it. 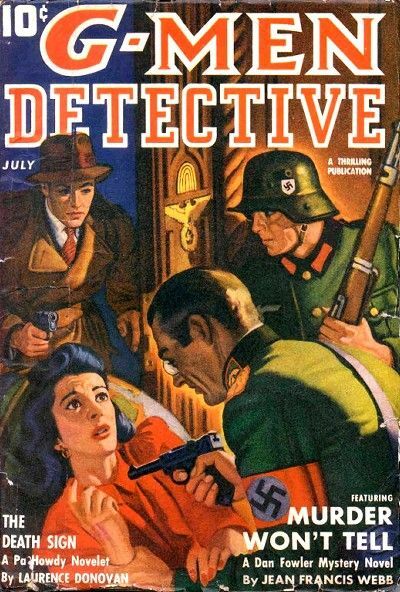 Note that there were probably 10 other issues before Spring 1945.